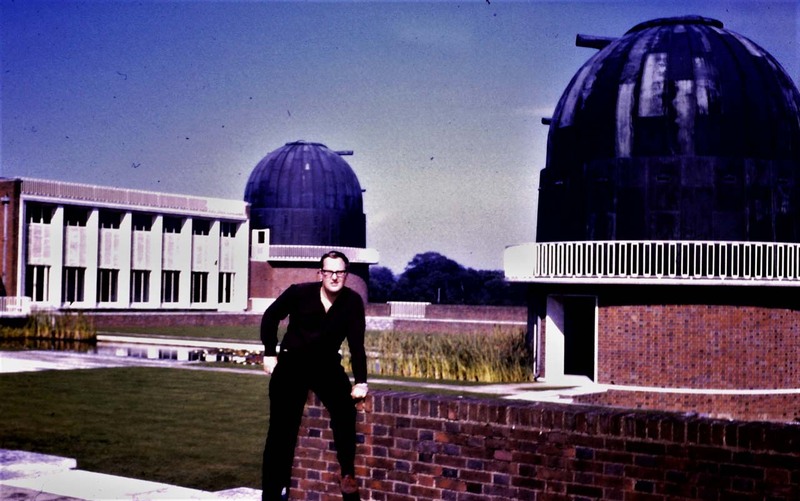 About: Having spent the summer of 1966 working under Alan Powell in Bernard Pagel’s research team during the Royal Observatory summer school at Herstmonceux, Ken Hartley was apponted to the Royal Observatory staff in 1968. He was initially assigned to Donald Lyndon Bell’s research team. In 1969, he was assigned to the Physics Department and in 1978, succeeded Albert Carter as Head of the Computer Department. 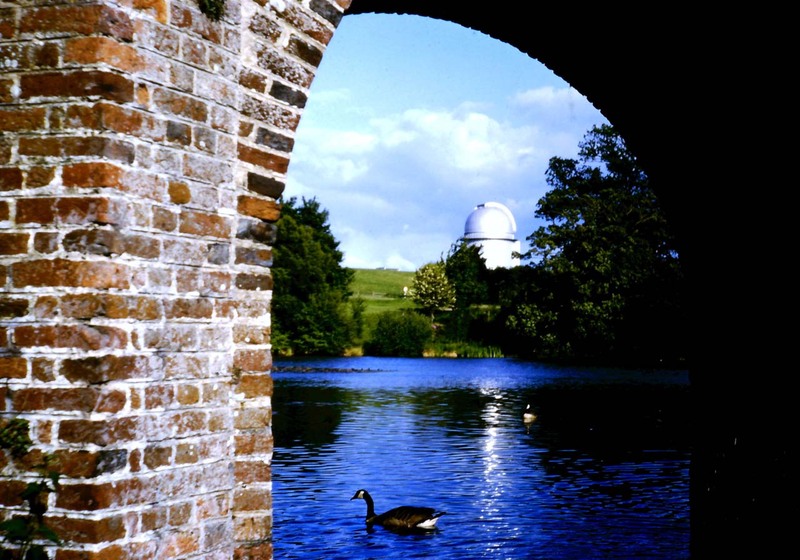 He left the Observatory for a new role at the Rutherford Appleton Laboratoy (RAL) in 1985. In December 1965 I had just finished my first term as a post-graduate student working, for a PhD at Leeds University. I was at one of those awkward coffee sessions when staff and students try hard to find something to say to each other. I was approached by the Professor of Applied Mathematics and asked if I had any plans for the next summer. I said no, and he said “Would you like to spend it at the Observatory?” Without giving it much thought and not knowing what was involved, I said yes, and so chose the route for my entire career. What I didn’t appreciate then was that the Prof – T G Cowling – was a distinguished geophysicist and soon to be President of the Royal Astronomical Society. I guess a word from him carried considerable weight. I think it is the only time when “… it’s who you know” worked in my favour! And so, in the Summer of 1966 I made my way from the industrial North to the wilds of deepest Sussex. I set off by train to Pevensey Bay Halt, the letter emphasising not to get off at “Pevensey and Westham” – one wonders how many people had made that mistake. The date must have been in the second half of June. The trip down to Eastbourne was straightforward, but I then had to change onto a small coastal train. I didn’t know anybody else on the course so I had no idea if any of the people on the platform were doing the same as me. I was astonished at the train I got on. I had become used to “corridor trains” where you got on and could then walk up and down, but this was one of the old-fashioned “compartment” ones – you got on and found yourself in a small sealed compartment with seats along the two long sides and doors on the shorter sides. The walls had faded watercolour-like posters of views of the south coast. It felt like revisiting the 1940’s. Eventually we stopped at Pevensey Bay Halt and a few of us got off – clearly they were fellow students. The station was fairly bleak – though at that time it was a real, though small, station, rather than the bus shelter that soon replaced it. Waiting for us was what looked like a navy-blue ambulance, which is more or less what it was – it had been converted from a Royal Navy ambulance into a minibus. The driver seemed to be wearing naval uniform without any insignia. I wasn’t aware of it then but in 1966 the Royal Greenwich Observatory was being run by the Science Research Council, which had only been created the previous year. Before that RGO had been run as part of the Royal Navy within the Ministry of Defence, because of its historic connections with navigation and time keeping. If you wander around the site, particularly the Equatorial Group of domes, you will still see the Navy insignia of a fouled anchor on door knobs and drainpipes! We set off across the fairly desolate marshes of Pevensey Levels before going up the hill, passing the welcome sight of a pub in the pretty village of Wartling, before turning into the RGO site at the east gate. 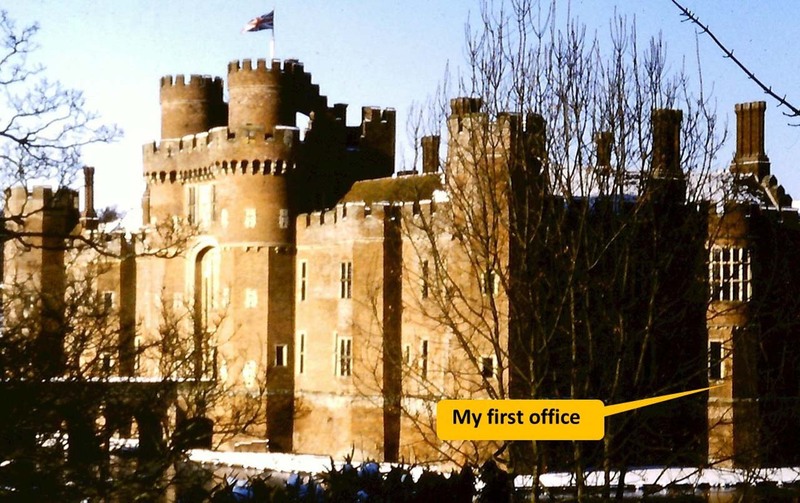 Then suddenly I saw Herstmonceux Castle for the very first time. 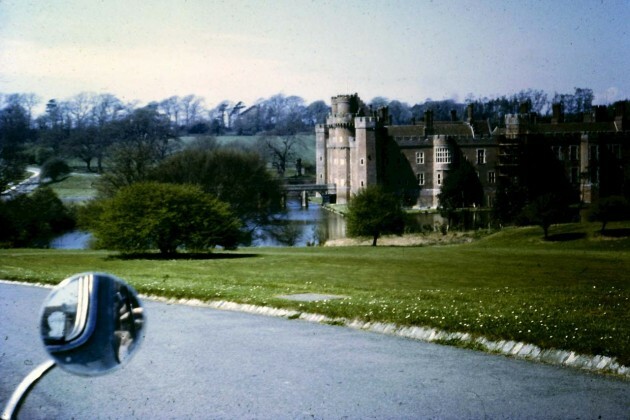 I had no real idea of what I expected beforehand (and hadn’t done any research – there wasn’t a web in those days) but it certainly wasn’t this fantasy red brick castle nestling in its grounds and surrounded by a moat that was in front of us. We were driven round to the west door, signed in and directed up a stone spiral staircase to our bedrooms on the top floor, just underneath the roof in the north-western corner of the castle. We each had a single study bedroom with a primitive, shared kitchen and various bathrooms. My favourite bathroom faced due north; it had a huge old-fashioned bath in which one could lie and look out over the formal gardens and croquet lawn. Other students benefited from the annual summer vacation courses run at Herstmonceux. Many of today’s astronomers cut their teeth in this way, spending a summer living in the Castle, observing on the telescopes at night, enjoying a game of cricket at the weekends and retiring to the bar afterwards. To a young, aspiring astronomer, it must have seemed like heaven. 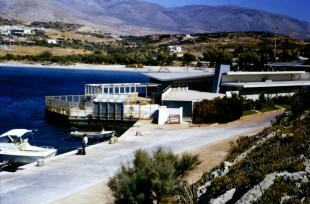 Vacation courses were held from 1956 to 1988, with 486 attendees listed. My year contained 15 students (3 f, 12 m) of which 8 were from Oxbridge and 7 from other UK Universities. John Skilling won the Tyson medal in 1966. It is a prize awarded for the best performance in subjects relating to astronomy at the University of Cambridge, for achievement in the CASM examinations in years when there is a candidate deserving of the prize. He becam Scientific Director of MEDC, having been a Lecturer in the Department of Applied Mathematics and Theoretical Physics, and a Fellow of St Johns College. He worked on Maximum Entropy de-convolution – I came across his work on the early, distorted Hubble Space Telescope images. Susan Storer won the Tyson Prize a year later, in 1967. It seems that Mike Penston, who with his wife Margaret was later a friend and colleague of mine at RGO, won the same prize in 1964. Susan published a letter to Nature in 1968 with Dennis Sciama on astronomical Masers – presumably part of her thesis - but I can’t find anything later from her. Perhaps she married and used her married name thereafter. John Stewart became an emeritus member of the Relativity and Gravitation Group at the Department of Applied Maths and Physics, Cambridge, and a fellow of Kings Cambridge. Peter Owen taught mathematics at the Royal Military College of Science and, from 1985, Liverpool John Moores University, taking early retirement in 2000. He served as a lay representative on General Synod from 1995 to 2005 and sought a further five-year term in 2010. Professor A M W Glass is a Fellow of Queens Cambridge and the right age, with a long list of publications in Group Theory and related branches of mathematics. I haven’t found any unambiguous mentions of any of the other students on the course. I assume the girls are missing because of name changes not failed careers. I have dug out this information to show what an impressive group they were. I found the Oxbridge attendees in particular overwhelmingly bright – they made me feel like a provincial ignoramus, not only scientifically but socially as well. It confirmed my belief that I would not have fitted in there even if I had managed to get in. My response was to put on a knowing smile, as if to say I understood what they were really saying without opening my mouth. I was inadvertently adopting the “Better to Remain Silent and Be Thought a Fool than to Speak and Remove All Doubt” policy which I heard of later”. Nobody seems to know who first said it, though Proverbs 17:28 expresses a similar sentiment. There are many occasions in later life when I wish I had adopted the same approach. Having said that they were also very friendly and amongst other things taught me how to play Croquet. Unfortunately, only one of us had a car and he paired up with one of the girls so it was not available to the rest of us. The only way of getting out apart from walking was to use the bus – and it only ran two days a week. I had a few exciting trips to the nearest town, Hailsham, on Saturdays! The main problem was that there were no televisions available – and this was 1966 and there was a football tournament going on at the time. Only Andrew Lister and I were at all interested and so we had to follow it in the papers. We were talking to Mrs Marples, who was the legendary Housekeeper, known throughout the world astronomical community for her sponge puddings. She felt sorry for us so invited us to her apartment to watch the semi-final against Portugal on the Tuesday evening. The TV was in her very frilly, feminine bedroom, which was hardly appropriate but we didn’t care. Bobby Charlton scored after 30 and 80 minutes so it was all very comfortable, but then Eusebio scored a penalty two minutes later and the last few minutes were excruciatingly desperate as Portugal did everything possible to score again. Mrs Marples thought it was all very exciting and invited us to see the Final on the following Saturday. The rest, as they say, is history. For me at least it felt a bit of a let-down that evening because there was nobody to share our elation with. Nevertheless, it would have been awful to miss it completely. Woolley married Gwyneth (Jane Margaret) Meyler in 1932. She shared Woolley’s musical tastes; they possessed two grand pianos and in the evening in Herstmonceux Castle it was usual to hear them playing duets with considerable virtuosity. Health permitting, she was a charming hostess. Before they left Australia she became something of a recluse and this persisted through most of their time at Herstmonceux. On the somewhat rare occasions when she accompanied Woolley on social occasions, however, or when she cared to entertain in the Castle, she was as charming as ever. And she showed that she knew everything about what was going on around her. She seemed rather better during their time in South Africa, and also when they retired from there to occupy a pleasant house, which they had acquired a few years earlier, in the small Sussex village of Hankham, a few miles from Herstmonceux. However, she died suddenly and unexpectedly in 1979. There had been no children. Gwyneth’s friends are now convinced that her ‘illness’ of so many years was anorexia. It seems to be part of this affliction to develop an uncanny ability to hide it from those closest to the victim. If Woolley could be sometimes somewhat abrupt with a colleague we ought to appreciate that he had for so long a time to endure the bafflement of Gwyneth’s inexplicable condition. He was shattered by her death; soon afterwards, he developed some eye trouble requiring hospital treatment. Mrs (Emily May) Patricia Marples was a lady to whom the worldwide community of astronomers, and above all everyone in the RGO, owed an enormous debt. 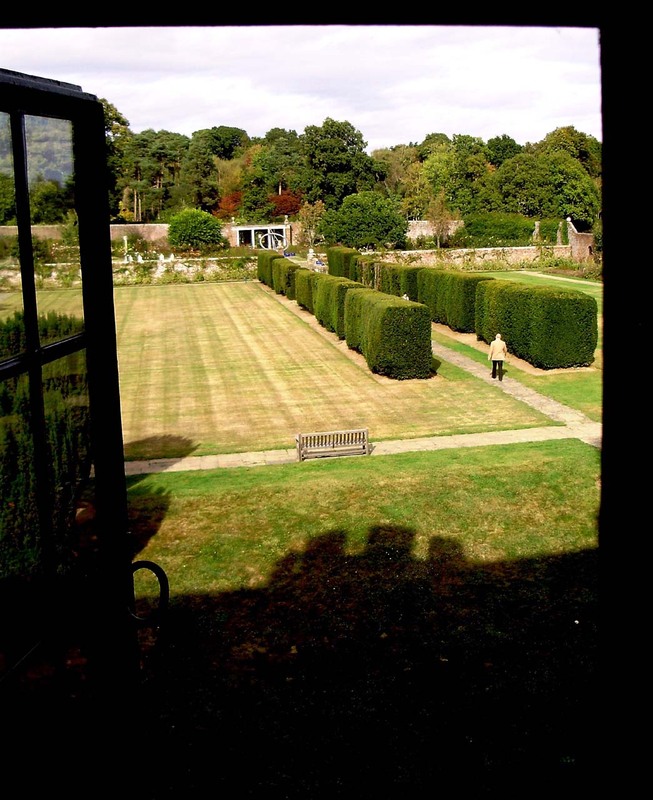 She was a ‘war widow’ who, soon after RGO went to Herstmonceux, had been entrusted with the domestic arrangements throughout the Castle, other than those in the Astronomer Royal’s living quarters. She organised the catering for everyone, the lodging of observers, astronomical visitors including conference members, and vacation students, and occasional more ambitious social occasions. Everybody concerned in any of these ways carried away the happiest recollections of the personal welcome they had enjoyed. Mrs Marples was also a wonderful support for Gwyneth Woolley. About the time of the Woolleys’ return from South Africa she had retired to her house in Yorkshire. Her friends and his were pleased to learn some months after he had left hospital that she and Woolley were to be married. Soon after that, they decided to live in South Africa where Patricia devoted herself to looking after Woolley's health. A succession of astronomical friends visited them there and for several years brought back reassuring reports of their wellbeing. But then in 1985 we learned that they had both been seriously ill and shortly afterwards that Patricia had died. The basic routine of the Vacation Course was that we had lectures in the mornings and worked on projects in the afternoons. We were also given a tour of the site, and in particular the Isaac Newton Telescope which was then nearing completion. I had never seen a big telescope before but it was impossible to get any idea of what we were seeing – there was scaffolding everywhere. I remember we were taken down below the observing floor underneath the polar disk into what I guess eventually became the coudé focus laboratory. I was assigned to work on a project in Bernard Pagel’s group, with Alan Powell as my supervisor. Bernard Pagel was one of the leading research astronomers at RGO. At that time his main interest was in the origin of chemical elements – roughly trying to find out how much of which elements was present in stars of various ages. The reason this is possible is that physics says that if you have light being generated inside a hot star, but to reach us it has to pass through the relatively cool outer layers of the star, then the atoms in the cool layer will absorb some wavelengths of light, and the results appear as lots of dark lines in the spectrum of the star. The presence of a line and its strength (how much light is absorbed) tells you how many atoms of that sort are present – which is what you want to know. Unfortunately it also depends on lots of other physical conditions like the temperature, the pressure, the strength of gravity, the state of ionization, the velocity of the material, the presence of electric and magnetic fields and so on. Pagel and others were working on how to separate out all the effects they were less interested in, in order to establish the chemical composition. The way to do this is to build an optical instrument – a spectrograph – which takes the light from a star and spreads it out in wavelength, leaving a long narrow strip – in our case about 30x1 cm - which can be recorded –at that time by photographing it. You also arrange to photograph a known spectrum on either side - rather like building in a ruler - so you know the wavelength at every point. The trouble is that this sort of spectrograph has to be rather large and so you can’t hang it on the telescope, you have somehow to get the light out of the telescope down into a fixed laboratory where you can set up the equipment. This is called the Coudé (from the French meaning "bent like an elbow”) focus and it needs lots of mirrors to make it work. That is very bad news because even good mirrors aren’t perfect and a percentage of the light is lost at each reflection. And astronomers never have enough light because they want to observe stars as faint as possible – usually because there are more of them as they tend to be further away. Light gets into a spectrograph through a slit - the wider the slit the more light you get in (good) but the less detail you see in the spectrum (bad). Alan was interested in seeing how wide we could make the slit whilst still being able to get acceptable measurements of enough lines. And that was the project I spent my afternoons working on. We used the Coudé spectrograph on the 30 inch Thomson reflector, which was then and still is in Dome A at Herstmonceux. We took a series of spectra of the day-time sky (which is nice and bright, but not too bright, and has all the lines from the Sun’s spectrum) with input slit widths from the narrowest to the widest possible. I then had to scan all these spectra on a very temperamental machine, which produced an inky trace on a very, very long roll of paper. 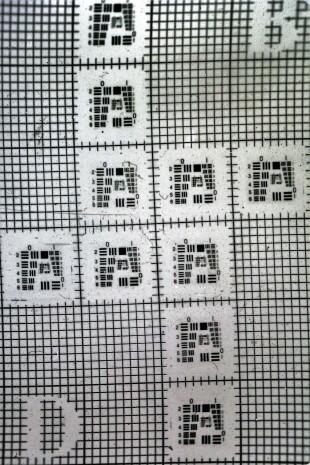 I then had to identify the lines they were interested in and measure their area on the trace. When I had done all the measurements, I had to prepare the results to feed into one of Alan’s programmes that compared and contrasted them. We then had to do some statistics to work out what we had found. The result was that we were able to show that they could happily use a slit width 50% wider than had been standard, a result that was consistent with the published “rule of thumb”. Alan thought this was sufficiently interesting that it was worth publishing, so I wrote it up and in due course it appeared as a short paper in The Observatory, Vol 87, pp75–76 – my very first published work. I was so proud. What usually happens is that the AR appoints anybody that he feels is suitable and places them where he considers most appropriate. He always looks favourably on ex-students as he was the instigator of this scheme. So I do not see any problem in your joining us here. and that is more or less what happened. My abiding memory – other than England winning the World Cup – is of warm Summer evenings playing croquet on beautifully manicured lawns surrounded by neatly trimmed yew hedges and colourful herbaceous borders, with the sounds of Bach being played on a grand piano in the ballroom of a fifteenth century castle by the Astronomer Royal. It was as different from my Northern origins as is possible. I can’t think why I ever wanted to come back to work there. I need to make it very clear that this has no pretensions to be a history of the RGO, just notes on what I did and experienced whilst I was there. The most comprehensive history of the period is probably the one prepared by George Wilkins. As my Research Studentship was running out in 1968 I needed to find gainful employment, though my thesis was unfinished (having become bogged down in the intricacies of gravitational wave tails. It was submitted successfully in 1972.) About the only thing I knew for certain was that I wasn’t good enough to be an academic mathematician. After several unsatisfactory job applications I eventually saw a vacancy for a junior lecturer in the Astronomy Department at Sussex University. I applied and was slightly surprised to be invited down for an interview. It was going reasonably well when they asked me what course I could teach, so I said Cosmology and Relativity, which was the only thing I could say. Of course, W H “Bill” McCrea was already Professor there and he happened to be a world expert on the subjects. 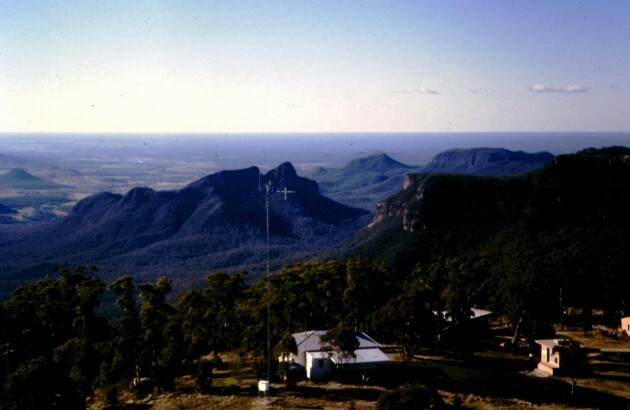 However, the Department had been set up with the intention that its theoretical interests would be closely allied with the observational expertise at RGO, which was 40km to the east. Students were based at both sites and some RGO staff had posts in the Department. In particular Donald Lyndon-Bell from RGO was on my interview panel. He said if I was really interested in a career in Astronomy I should talk to the Astronomer Royal (AR). He arranged it, I went over to Herstmonceux, had a quick chat with the AR and he said he was sure they could find something for me to do, so could I start in October? I said yes and that was it. As I said in later years, as a manager I wouldn’t have offered me a job if I had been interviewing me. Later I heard it said that Woolley asked applicants two important questions: Do you play cricket? Do you do Country Dancing? I could have just about said yes to the first but even in an interview I would not have said yes to the second. I can vouch for the fact that he did not ask me either question. However, the Vacation Course had been one of his innovations and he was always pleased to see its graduates coming back to work there. Looking back, I suspect Donald arranged for the interview at Sussex with the intention of looking me over – I joined his Research Team on arrival. In my letter of appointment from RGO, dated 11 April, 1968, my starting salary was given as £1,223 per annum. Even by the standards of the time that was on the low side – many of my fellow graduates who were going into industry were getting closer to £2000. I was also warned that I might be required to work on board one of Her Majesty’s submarines – an interesting locale for an astronomer. Presumably a hangover from the recently departed Navy days. When I started at RGO I was a member of DL-B’s small research team. Basically we had a free hand to follow up any ideas that we or Donald came up with, and he was always having bright, off the wall ideas. At that time the team consisted of Donald, Mike Penston and a young Scientific Assistant Rosemary Selmes, together with Keith Tritton, Bernard Yallop and myself who shared a huge office on the east ground floor of the castle, overlooking the moat. We had a huge walk-in cupboard for stationary and a large bay window which was part of one of the castle’s decorative turrets. The walls had portraits of all the Astronomers Royal, and the first thing I did was to memorize their names – Flamsteed, Halley, Bradley, Bliss, Maskelyne, Pond, Airy, Christy, Dyson, and Spencer-Jones. The current one was Woolley. My favourite picture was of Bliss – it was a picture of a large bulbous beer tankard with a portrait on it and the inscription “This sure is Bliss, if bliss on Earth there be” (which I recently discovered that (without the capital Bs) is a quote from “Eloisa to Abelard”, a poem by Alexander Pope). Bernard Yallop sat at the desk to my left. He gave the impression of being a slow, dim-witted, country yokel, but in fact he was bright, hardworking and utterly reliable. At that time he was building computer models to explore the stable configurations that rotating balls of fluid can take up. He introduced me to the use of Crelle’s Multiplication tables, an historic precursor of mechanical calculators! Keith Tritton was in the bay window on my right. He was employed by RGO but doing a PhD at Sussex at that time on mechanisms for accelerating particles in electric and magnetic fields – a hot subject then, related to the generation of radio waves, cosmic rays and x-rays in space. At the end of my RGO career we were both candidates for a post on La Palma. Quite rightly he got it. On my first morning Donald said hello and handed me a paper to read. It turned out it had just been published that year, and contained 50 pages of very dense maths and physics by Ginzburg and Syrovatskii on “Magneto Bremsstrahlung”, what is now usually called Synchrotron Radiation. This was the definitive treatment of the way that pretty well all radio waves are generated in space – from particles travelling close to the speed of light spiralling around in a magnetic field. I eventually understood enough of it for my purposes but I didn’t think I was able to add anything to Donald’s knowledge of the subject. It is somewhat ironic that towards the end of my career the Diamond Light Source was built at the Rutherford Appleton Laboratory (RAL) to generate exactly that sort of radiation, which was to be used to explore the structure of solids and molecules. One morning Donald came in and asked me to help him with something he was reading. He was getting interested in Black Holes and he had found a diagram in a text book on relativity. I said “But it’s in French.” He said he bought it in France and it was cheaper than the English version! Another day he said he had been listening to the radio that morning and they said the Apollo astronauts had found small glass beads on the Moon, so we had to spend the rest of the day trying to work out what sort of atmosphere was necessary to allow spheres to form from falling drops of liquid glass. However, the main project he gave me was to work on what was then known as the “density wave theory” of spiral arms in galaxies, which had just been published. Observationally it was found that all flat galaxies which have stars and gas show spiral arms – that is why they are called spiral galaxies! The problem is that it is easy to see how they can form – try dropping a blob of cream into a cup of black coffee that you have just stirred. The problem is that they don’t last – they get wound up and smeared out after a couple of rotations, so most galaxies shouldn’t have them now. The idea was that there was an underlying wave which we see because it sweeps stars and gas into it and then passes on, leaving the old stars behind and sucking up new ones – a bit like the flotsam and jetsam that you see swilling around on the top of waves in water. We were trying to explain why some galaxies are all spiral and others have a straight bar in the central region. I made some progress mathematically, but didn’t really solve the problem. Whenever I described the maths I was doing to Donald he would ask “Yes, but what is going on physically.” It is an attitude that I have tried to adopt throughout my career. This was what you might call the day job; at night there was observing. RGO was never a good site for doing optical astronomy – more of that later – but we did have some good old telescopes and we could use them as much as we wanted. We were therefore in a strong position for studies that required lots of telescope time over a long period on relatively bright objects. When I joined the team they had devised an observing program to use the 26 inch Thomson refracting telescope to monitor the brightness of a 100 or so of the recently discovered “Quasi Stellar Radio Sources” or “quasars”. These were objects that were found using radio telescopes (hence radio source) but when people looked at them in the optical they found what look like ordinary stars (hence quasi-stellar). It took a combination of circumstances to work out what was going on. 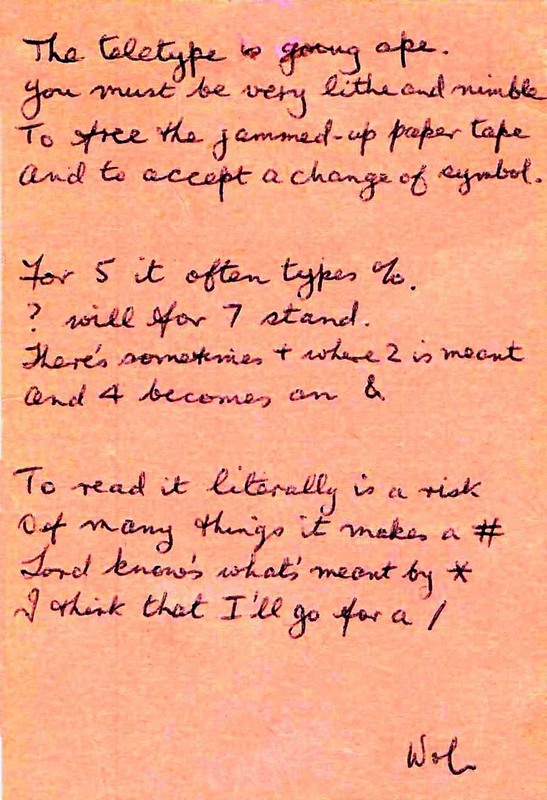 In 1962 Maarten Schmidt recognised the lines in the spectrum of 3C273, the 273rd object listed in the Third Cambridge catalogue of radio sources – as Donald said, he could remember the number because he drove to work on the A273. By 1968 there was a widely held belief that if something varies significantly in brightness in a time of T days (or years or seconds) then it can’t be any bigger that T light days (or years or seconds) across. Our programme was to photograph our 100 quasars as often as possible and measure the brightness, to get a good estimate of how quickly they were varying. It was Rosemary’s job to produce a list of targets for every night and then to measure the resulting photographs - in this case 10 cm square glass photographic negatives. It was the job of the rest of the team to take the photographs, and that included me. Every night one of us worked all night (in summer) or two of us did half a night each (in winter). In the dark. Often in the freezing cold. I hated every minute of it and was totally useless at it. When one thinks of professional scientific equipment one tends to think of computer driven marvels, but this was a mechanical device built in 1896, driven by clockwork. (I hated using it, but it was in fact a major telescope in its day and remains one of the largest refractors ever built – the biggest ever was only 40 inches. All big telescopes are reflectors, not refractors.) Every couple of hours you had to stop work, reach into the drive mechanism, disengage the clutch by hand, wind it up using a big handle, re-set the dials and then at the precisely correct second re-engage the clutch. You had to point it by hand, and continue to steer it by eye and hand during the 10 to 30 minute exposures. You also had to turn the dome round to make sure that the telescope continued to point out through the slit in the dome. (Cartoons often show the telescope sticking out through the slit – they really don’t do that!) If you didn’t do everything just right the photograph was useless (as when somebody moves whilst taking an ordinary photograph), and mine were all useless. After a while I was summoned by Andrew Murray to see what the problem was and it was agreed that Bernard Yallop would watch me to see if he could see what I was doing wrong. One possible explanation was that my astigmatism meant I found it hard to focus on the cross-wires that one had to keep the star image centred on. Personally, I put it down to the reason I had not done physics at University – I was completely useless at practical work. My worst night ever was one cold winter’s night when it clouded over so I had to shut down, but the controls that close the dome didn’t work. I had to call electrical engineer Eric Stoakley out in the middle of the night, but by the time he got there everything was covered in a centimetre of snow. I used to pray that it would be cloudy and I wouldn’t have to go in. Having said all this, my main job during this first year was to learn some astronomy. I was told to attend the four core MSc Astronomy classes at University of Sussex – four of us used to drive over there a couple of times a week, and memory says it was always incredibly foggy coming back on the A27 parallel to the northern escarpment of the South Downs. I didn’t have to attend the more specialized courses and didn’t have to take the exams. We were able to combine the lectures with attending the regular seminars given there. I also joined the Royal Astronomical Society, first as a Junior Member, and later as Fellow. They met every Friday during the winter and formed a fascinating thread though my career in astronomy. When I first went they started with a wonderful old-fashioned tea – cucumber sandwiches, cakes, the whole works - in the Library in the Society’s rooms in Burlington House, Piccadilly. The meeting lasted precisely two hours and about 1½ of them were devoted to “business” – interminable details of who had been nominated as fellow, every book or article that had been donated. Utterly boring, but what they had always done. There were then usually a couple of short papers at the end. Over the years the business shrank to the most cursory 10 minutes with the rest of the time devoted to scientific papers. During the same period they started having pre-meeting colloquia at the Scientific Societies Lecture Theatre in Saville Row, after which we walked to Burlington House for tea and the “main” meeting. Eventually all the action moved to Saville Row, tea shrank to coffee and biscuits and the pre-meeting sessions often became full day specialized conferences. The Burlington House rooms were right in the heart of London, across the courtyard from the Royal Academy, and could be used as a Club by Fellows. It was also a wonderful walk from there to Saville Row – through Burlington Arcade or Bond Street with their jewellery shops and art galleries, past the Apple recording studies with the faithful fans on the pavement and the gents outfitters – I couldn’t even afford the ties there let alone the shoes, shirts and suits – and West End Central Police Station where all the big criminals ended up. Later on when I was working with Mike Barnett at Imperial College (see next section) I arranged to see him on RAS days. It was a wonderful walk through London from Imperial College, past the Albert Hall and Memorial, through Hyde Park, under Marble Arch into Green Park and then, if time permitted calling at “Hatchards Bookshop, 187 Piccadilly London, Booksellers by Royal appointment, the oldest bookshop in the United Kingdom, founded by John Hatchard in 1797”, before crossing Piccadilly to the RAS. And as last word on the subject, meetings were always adjourned until, say, 2012 March 30 at 16:00, always in that “big end first” date format. The bigwigs of the Society had their own “Dining Club” after the meetings, but we young guns used to frequent the new tandoori restaurants in the Tottenham Court Road, where I first enjoyed Chicken Tikka. Another critical element of my education was the series of discussion groups that were established at about this time. They started out as “Literature Discussions” where a couple of people were asked to review a current paper leading to a wider discussion. These were held at 17:00 in the Chapel and might have up to 20 people present. Eventually they became a place where people gave informal talks about the work they were doing. The chance to give an informal talk amongst friends was a really good way of becoming more confident in giving talks. In those days the pubs didn’t open until 6 PM, following the afternoon closing. It was therefore excellent timing for us youngsters to go off to the pub afterwards. One of our favourites was the White Horse at Bodle Street Green – because they started doing sandwiches in French bread and you bought them “by the inch”. I see it is still going strong, now featuring live folk music in the bar. The last part of my year of astronomical education was being sent to attend a NATO advanced study institute on “Structure and evolution of the galaxy”, which was held in Lagonissi, just south of Athens, on September 8-19, 1969. This was my first flight, my first major astronomical event and my first trip abroad at my employer’s expense. It also spoilt me for everything else that followed, because it was an amazing experience. I am not quite sure why NATO was interested in astronomy, but it was probably something to do with fostering scientific collaboration between member states. It was not a great time for Greece because on April 21, 1967 the elected government was overthrown by a group of middle-ranking army officers led by Colonel Georgios Papadopoulos, who established a military dictatorship. The regime, known as The Regime of the Colonels, forced King Constantine II into accepting it as legitimate. On December 13, 1967, the King launched a counter-coup but it failed and he, together with his family, fled to exile in Rome and soon after to London. This was seen as a very bad thing in Britain, but it did not stop me going to the School. What was entertaining in a minor sort of way was that there had been an earlier School on the same theme in the same place and we were given a report on it. There had been a welcome from the government science minister, and it was identical to the one that the current incumbent gave us! No matter who rules, the civil service runs the country. It was held in a small private hotel and chalets on a bay overlooking the Saronicos Gulf. 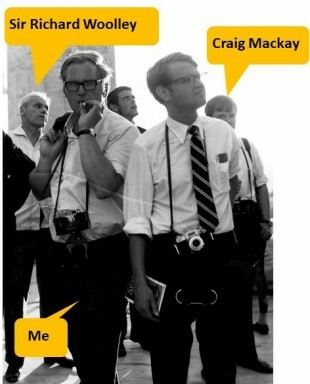 I shared a chalet with Craig Mackay and whilst we never became friends we used to bump into each other in the course of our careers. We had breakfast delivered to our chalets, which we ate on our own veranda, and then had lectures in the mornings, followed by a leisurely lunch and a long siesta, followed by another session in the late afternoon and a late dinner. Our first session was a set of welcomes and introductions; the programme was as long as your arm. However, as we arrived we could see they were already setting up tables of food and drink on the quay outside. They got though all the speeches in about half an hour and the rest of the morning was a reception with drinks on the quay. The lectures were variable, but generally quite interesting, but the best scientific part was having dinner with some of the world experts on the subject – most days I seemed to eat with Geoff and Margaret Burbage, little realizing that in a couple of years she would be my boss! I had never been one for sun bathing but I decided to make a serious attempt at getting a tan. I read up and did what they said – starting with a very short exposure and gradually increasing the exposure time. People thought I had sun burn but there was no pain whatsoever and at the end I had the best tan I have ever had. I tried swimming in the sea but there was an invasion of jellyfish which put me off, so I stuck with the pool thereafter. However, it was the entertainment that was the most memorable feature. We had an afternoon and evening going round Athens, including the main museum, where I fell in love with an amazing statue, described by Wikipedia as “This bronze statue represents Zeus, the greatest of the Greek gods, preparing to hurl a thunderbolt. It very much resembles a javelin thrower.” I was amazed by the way he was so perfectly balanced that his left foot barely touches the ground. That was followed by a big reception and then up onto the Acropolis to see the Parthenon and other buildings and then watch the sun set. We had another evening attending a production of Medea by Euripides in the open air Theater of Dionysus Eleuthereus, on the south slope of the Acropolis. It was in Greek but we had a synopsis of the plot and I found it fascinating to see the classical Greek chorus in action. Another evening they took us down to Cape Sounion at the southern end of Attica, which has some famous ruins on a headland with sea on all sides. They are famous because, among others, Lord Byron carved his name on them! It is also a good spot to see magnificent sunsets and the sun duly obliged. Even better for me, a sailing ship just happened to sail right across the golden trail of the setting sun. We also had full day trip on the middle Saturday. We went to Corinth, over the Corinth canal where I took the picture every tourist in Greece takes, and then to ancient Corinth where St Paul preached. I was pleased that the remaining columns did indeed have Corinthian capitals. We then went to Mycenae, which was an important centre between 1600 and 1100 BC, usually associated with the legends of the Trojan War. Its king, Atreus, had two sons, Agamemnon and Menelaus who married Clytemnestra and Helen. Helen eloped with Paris and the rest is poetry. It’s an amazing place. On the way back we went to Epidaurus which is an ancient Greek Health Farm, combining a healthy body (a sports stadium, gymnasium and hospital) and a healthy mind (a theatre). The theatre is one of the most perfect surviving classical theatres with fantastic acoustics. 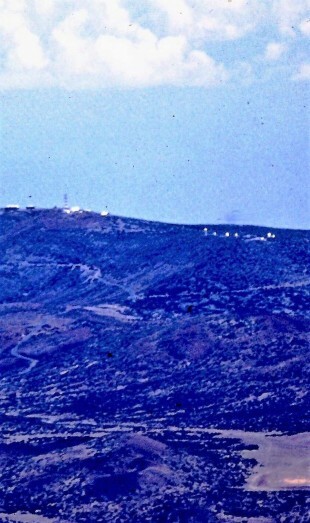 So courtesy of NATO and the Greek Government I had learned a lot of astronomy and had a comprehensive tour of Greece. The only important places we didn’t get to were Delphi and Mount Olympus. It set a very high standard for other trips to meet. As a result I was summoned to Woolley’s office. He said gruffly “You are a mathematician aren’t you?” I said “Yes, sir”. He said “McMullan is looking for a mathematician. Go and talk to him.” I said “Yes, sir” and the next stage of my career was decided. Looking back I realised I didn’t know what happened to Donald afterwards. I assumed he eventually returned to RGO and at some later time he moved on. However, I have recently read a biography of Fred Hoyle (Fred Hoyle’s Universe by Jane Gregory), which throws a lot of light on various subjects! In this context it explains that in 1972 Donald was appointed to head the new Institute of Astronomy, which was derived from Fred’s Institute of Theoretical Astronomy. Fred had his own candidate – Wal Sargent, who had been at RGO before my time – but the panel appointed Donald. Fred alleged all manner of irregularities, threw his toys out of the pram and left for America. However, eventually the fuss died down and it is generally thought that Donald did a good job there. At the time somebody said of what was then known as ‘the brain drain’ (to America): “The last dregs going down the drain make the most noise”. The first known attempt at astronomical photography was by Louis Jacques Mandé Daguerre, who attempted to photograph the moon in 1839. Tracking errors in guiding the telescope during the long exposure meant the photograph came out as an indistinct fuzzy spot. John William Draper managed to make the first successful photograph of the moon a year later, on March 23, 1840, taking a 20-minute-long daguerreotype image. Pretty well all astronomy since then has been done by photography. However, the chemistry involved in photography meant that it is very insensitive at low light levels and becomes saturated even at only moderately high levels, so for serious observations there is only a small range of brightness that can be measured. 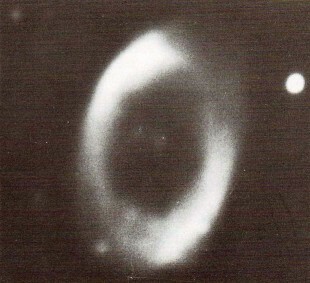 By the late 1960s many different alternatives were being explored and at about the time that I joined RGO the Observatory funded a post to head a new “Physics” department to explore and exploit these techniques. The coolest detector in the world at that time was the Image Photon Counting System (IPCS) created by Alex Boksenberg and his team at University College, London, and it was generally assumed that this post had been created for him. To general amazement he didn’t get it and Dennis McMullan from Imperial College, London, was appointed. 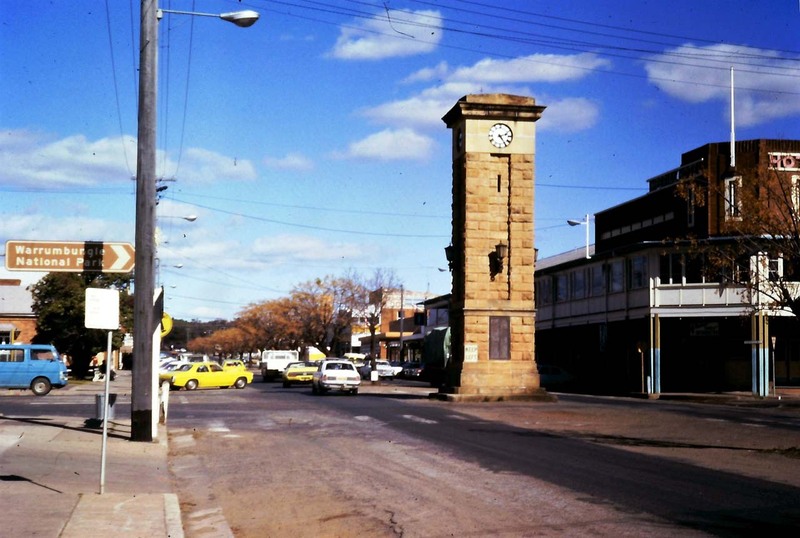 Alex had to wait until 1981, when he was appointed as Director of RGO. The two were as different as two people could be – Alex was the globe-trotting charismatic figure who worked with the best in the world and got maximum credit out of what they did with his equipment, whilst Dennis was a quiet, rather avuncular figure, who was nevertheless very good at achieving whatever he set out to do. Dennis’s background, and first major development at RGO, was on “electronographic cameras”. 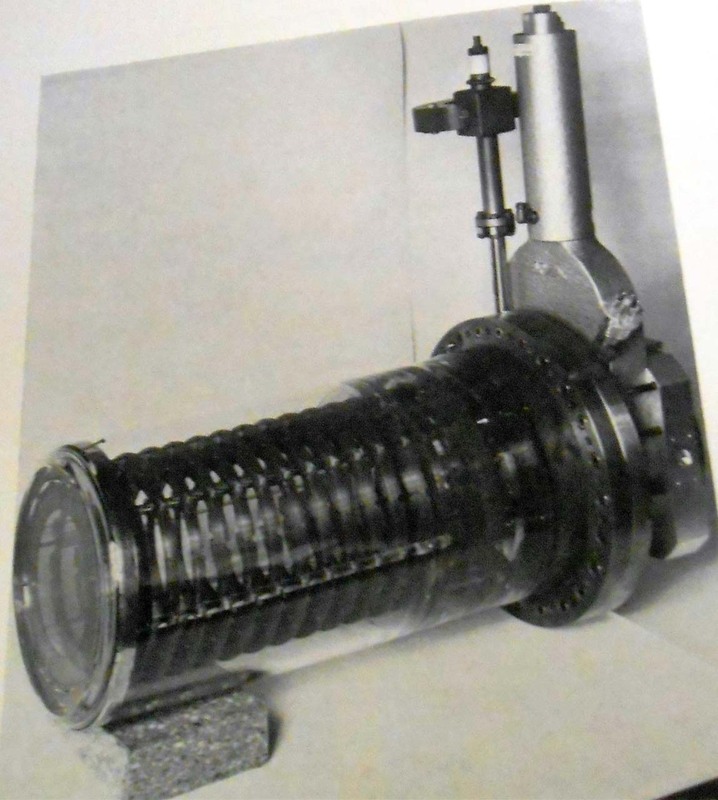 This is a form of image intensifier where light is converted into electrons, which are accelerated using an electric field (up to 40,000 volts) and focused (using a magnetic field) onto a photographic film. The electrons have so much energy that each one can be detected on the film and the films are so fine grained that you can go to very high densities. 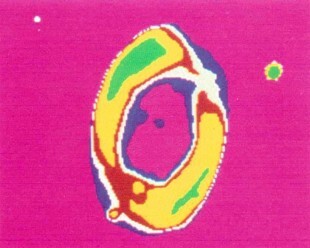 The first version produced films 4 cm in diameter, the second one went up to 8 cm.This technique allows one to measure a huge range of intensities and is naturally 2-dimensional, whereas the IPCS electronics could only cope with one dimension at that time. However, electronography is inherently “analogue” and the future was going to be digital, so to some extent it was a blind alley, though some useful astronomy did emerge from these cameras. Technically the main problem was that the “photocathode” that converts light to electrons is easily damaged and so has to be created and maintained in an ultra-high vacuum. Even the vapour given off by the film is enough to kill it. 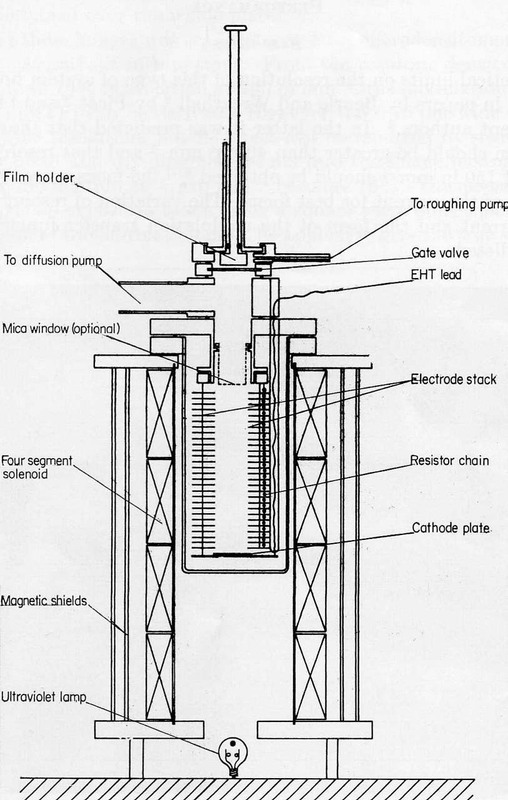 Dennis’s approach, based on work he had done with Jim McGee at Imperial, was to build a very, very thin mica window into the end of the tube, through which the electrons can pass to get to the film, leaving the cathode unpolluted. The mica was typically only a few microns (1000ths of a mm) thick. Noel Curtis, a technician who joined the group from Imperial, could split mica that thin by hand. Dennis’s group were just moving into a brand new “Physics” building, next to the existing drawing office. George Wilkins says: “It was ready for occupation by November 1969 and was known as the Physics Building. It was used by the Instrument Development Department as well as by the new Physics Department; the distinction between their functions was by no means clear!” Because they wanted to be able to move heavy equipment in and out the entrance road went down below ground level so that a waist high loading bay could be built up. When we first moved in the drain got blocked and the road flooded. There were those who said it was a bit pretension for us to insist on having our very own moat, but we had to walk a plank over the water to get into our offices. The job Dennis wanted me to do was to explore how good the electric and magnetic fields had to be for the system to work. The text books said “uniform and parallel” fields were needed, but in the real world that can never be achieved. The question was – what were the factors that might cause serious problems? 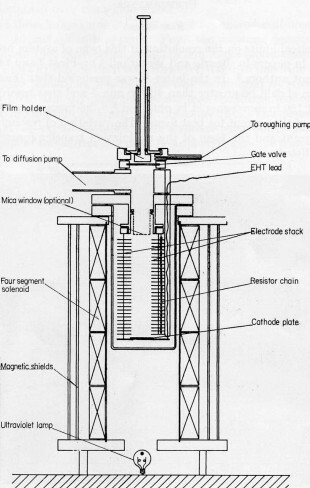 The task was to write computer programmes to calculate the electric field under various conditions, likewise the magnetic field, and then calculate the trajectories the electrons move in through them. The electric field and electron trajectories were standard problems but the magnetic field part was more difficult, so we put that on hold initially. Later I worked with Bill Trowbridge and Jim Turner at RAL, who were solving that problem for their accelerator magnets. Of course, that meant I had to learn how to write computer programmes and use the primitive machines of the day, but I found the work fascinating, challenging and constantly rewarding – progress was tangible and one constantly got feedback that something worked right, or indeed when something goes wrong. Dennis also introduced me to Mike Barnett at Imperial, who was an expert in “electron optics”, as this subject is called, but knew even less about computers than I did and was interested in seeing what could be done. My strongest memory of him is going into his tiny, untidy office (very different from my Civil Service one!) and being shown a large, meaningless photograph. He told me that it was the Fourier transform of the Grand Canyon! These were then punched a line at a time as holes in cards, either by us or more often by a “punch girl”, using basically a special electric typewriter, which punched the right holes for each character and printed the character on the top row. The cards are the natural descendants of those used by Joseph Marie Jacquard to control his silk looms in 1801 and by Herman Hollerith for the 1890 US census. Hollerith needed boxes for his cards and used those made to hold dollar bills. That defined the size of the cards, and they stayed that size for ever. His company was one of four that merged into what eventually became known as IBM. Cards of this type made the headlines in the disputed US presidential election of 2000, when phrases like “Hanging chad” appeared regularly in the headlines! I made some real progress on these issues and published half a dozen papers, including giving a presentation at a big conference at Imperial College. These Conferences on Photo-Electronic Image Devices were held every 3 years or so, and in 1972 I was down to give a paper. These were huge events, lasting a whole week and with multiple concurrent sessions and close circuit TV cameras to overflow rooms. The subject matter included TV cameras and other forms of imaging devices, not just specialized astronomical stuff. When I saw the programme I discovered that I was speaking in the last, after lunch on Friday, session, so I had to sweat out the rest of the week. We stayed in a Hall of Residence, and one of my fondest memories was listening to a young American expressing his views on the insanity of expecting humans to battle with a kipper at breakfast time. During this stage it was decided that one of our cameras would be fitted at the prime focus – up at the top end, inside the body of – the Isaac Newton Telescope. They were worried that the steel housing would affect the magnetic field and hence distort the images making them useless. Their proposal was to rebuild the top end out of titanium (which is not magnetic), which would have cost a fortune. I said I would model the design and did so, using the software developed at RAL. That involved working at RAL for a couple of weeks, staying at The Cosener’s House. I think this was probably my first visit to RAL and Abingdon. This was when only half of the A34/Abingdon by-pass was in operation and I remember seeing countless MG cars outside the Abingdon factory, north of Marcham Road roughly where McDonald’s is now. It closed in 1980 so the timing is plausible. As expected I was able to show the steel would not cause problems so they could save their money. I was right, and I reckon I saved all the cost of my salary for all the years I worked on the subject with that one piece of work. However, Dennis was keen that we had some experimental confirmation of my calculations. I worked with his technical team to build an experimental version of the real tube. The main difference was we made this one work in the ultraviolet rather than the visible – photocathodes that work in UV aren’t affected by air so we didn’t need the fancy high vacuum technology – but the tube still needed to be at a reasonably low pressure because 40,000 volt electrons don’t mix very well with atmospheric pressure! Because this was for testing they created a fixed array of test patterns on the photocathode so all you had to do was shine a UV light on it – no messing about with projecting an image and making sure you know exactly where it is and that it is in focus. This allowed us to measure exactly where each pattern ended up compared to where it started out (to measure geometrical distortion) and to assess the “resolution” – how much the image of a tiny spot has spread out – at different parts of the field of view. I spent the best part of a year playing with this equipment, involving taking thousands of images and having to develop them all. We tended to use stronger developer than usual and it started to rot my fingers – I ended up having to wear plastic gloves in the darkroom. I never was a practical physicist. The results were exactly what I had predicted, which was very gratifying. In particular I was able to show that the resolution inside the tube was very high – the observed resolution was due to the electrons being scattered on their way through the mica window. That led us to look at how best to get the film close to the mica without tearing it! This was experimental physics beyond my level – Dennis had all the ideas and I just did the donkey work. Dennis had a great team then – John Pilkington (a radio astronomer from Cambridge) and Ralph Powell (who came from Imperial with Dennis) were scientists; Noel Curtis, Eric Wilson, Dave Bonnick and Bill Matthews were the engineers and craftsmen; and Bernard Wellgate was our electrical engineer. I found it fascinating watching these people working - it was so different from anything I had seen up close before. Watching Dave using a lathe and milling machine to produce amazingly shaped lumps of steel was fascinating. Watching Ralph and Noel creating the most sensitive possible photocathodes, doing all the amazing chemistry inside a glass bottle maintaining an ultra-high vacuum in a rig that went from floor to ceiling but could be rotated through 360 degrees, and taking several days to carry out all the steps was fascinating. However, after something like five years there was not much more I could do and a new opportunity presented itself, requiring me to move into a different group but in the same building and still under Dennis’s overall control. The next few sections are about on-going activities, rather than a specific period of time. In 1971 Sir Richard Woolley resigned as Astronomer Royal so he could move back to South Africa, to become Director of the South African Astronomical Observatory, formed in 1972 by combining the Royal Observatory at the Cape (an outstation of RGO) with the Republic Observatory (Johannesburg). Others may disagree but I think this was the critical event that marked the start of the decline and fall of RGO. Our parent body, the Science Research Council decided that, like all their other establishments our new head should be a Director, and so chose to split the title of Astronomer Royal from the post of head of the observatory. They appointed a distinguished ex-patriate British Astronomer, Margaret Burbage, as Director. It was a bold move to appoint a female to this post and (I believe) she remains the most senior woman ever appointed by the Research Councils. However, they also appointed Sir Martin Ryle, a very distinguished radio astronomer from Cambridge, as Astronomer Royal, which many saw as an insult to Margaret (and all women). I think it was unintentional, but was significant not because Ryle was a man but because he was not an optical astronomer, and that was to be the trend in future – optical astronomy was going to decline in importance compared to radio and space astronomy. The previously quoted biography of Fred Hoyle confirms this view. The British non-optical astronomers – led by Hoyle - thought they were doing more substantial work than the optical ones (they were) and leaving the Astronomer Royal as an optical astronomer meant they had less influence than they deserved. They were very strongly supported by Brian Flowers, who had just become Chairman of SRC and who was himself a theoretical physicist. However, the whole thing seems to have been bungled – their first choice was Maarten Schmidt, but the government then discovered he couldn’t be Astronomer Royal because he was a foreigner, and he turned the job down if he wasn’t going to be AR. It seems as though Margaret was the only candidate prepared to accept the Director’s job and not be AR. Ironically, Margaret and her husband were good friends of Hoyle’s, so his intervention cost his friend the post of AR; in the event Martin Ryle, who was Hoyle’s arch rival, was appointed AR. Some might say it served Fred right. Sadly, the appointment turned out to be a disaster. The view amongst the troops was that Geoff had expected to be given a substantial post in the Observatory and that together they were going to have a free hand to reshape the whole of British Astronomy. That didn’t happen, and was probably never going to happen. She was also quite seriously injured in a car accident soon after taking up her post. Within two years she resigned. George Wilkins says: “Margaret Burbidge (1972–1973) was appointed director…. She resigned in the autumn of 1973 and returned to California. She had spent a lot of time away from Herstmonceux as she continued to observe on telescopes overseas and to attend many international conferences.” The decision was taken to appoint Alan Hunter, who had the wonderful historic title of Chief Assistant under Woolley, as Director, to see us through to the tercentenary in 1975 and eventually to appoint a “Director Designate” who would overlap with him to initiate what was then known as the Northern Hemisphere Observatory Project (NHO). Hunter always seemed slightly stuffy to me, but was a kind, honourable man who provided a safe pair of hands after the recent turbulence. When he retired he let it be known that if a collection was to be made for him he would double the sum and that it should be put towards renovating the swimming pool in the grounds and adding a modern filtration plant. That is typical of the man. The Director designate was Francis Graham-Smith, a radio astronomer from Jodrell Bank, who saw through the NHO project. FG-S had been interested in Pulsars at Jodrell and wanted to remain involved at RGO. I worked closely with him during the 1970s, closer than I worked with any of the other Directors. Ironically, he was appointed Astronomer Royal in 1982 after he had left RGO. In due course he was eventually replaced as Director RGO by Alex Boksenberg in 1981. FG-S was succeeded as Astronomer Royal by Professor Sir Arnold Wolfendale (1991–1995) (an expert on Cosmic rays) and then by Martin Rees, Baron Rees of Ludlow, in 1995 (a theoretician and cosmologist). In passing, the aforementioned Hoyle biography also makes it clear that the writing was on the wall for RGO almost before I joined it. During 1969 Hoyle chaired the Northern Hemisphere Review panel, which couldn’t agree on a final report. The majority view was that both Royal Observatories should be closed, and that the urgent priority was to build a new telescope on (and also move the INT to) a decent overseas site. Even if the Observatories survived they should have nothing to do with designing, constructing or running the new telescope(s). The minority report, by the two Astronomers Royal, didn’t agree (no surprise there) and proposed a different role for the observatories. The report has still not been published – Hoyle’s biographer found the documents amongst the participants’ private archives. Amusingly Wal Sargent called the proposed new site ‘Marston Moor’, after the open countryside in Yorkshire (Fred’s home county) where Oliver Cromwell defeated the Royalists during the English Civil War. When I was recruited to work at RGO I was appointed to the grade of Scientific Officer (SO), which was soon to become known as “old-style SO”. Below that grade was an Assistant Scientific Officer (ASO) and above it a Higher Scientific Officer (HSO), Senior Scientific Officer (SSO), a Principal Scientific Officer (PSO) , Senior Principal Scientific Officer (SPSO) and then into the stratosphere a Deputy Chief Scientific Officer (DCSO) and Chief Scientific Officer (CSO). In parallel was a group of “Experimental Officers”, technical experts with a less academic background, who used to do the routine work, and another group of “Professional and Technology Officers (PTOs) – they were really Engineers but they already had E for Experimental and E for Executive. The administrative grades started with Clerical Assistant (CA) and Clerical Officer and then Executive Officer, more or less equivalent to a Scientific Officer. Above that were the same Higher, Senior and Principal grades, and so on right up to the head of the Home Civil Service. I remember Graham-Smith bemoaning the fact that, senior though he was (as Director RGO) there were actually more grades above him than below him, though there weren’t all that many people in the grades above him! Eventually they changed the designation and PSO/PPTO and Principal all became “Unified Grade 7”. Soon after I arrived at RGO they redefined what a Scientific Officer was and I was re-branded an HSO. In 1973 (I think) I was nominated for promotion to SSO, and went up to our London Office in State House, High Holborn for an interview. I failed – and was told it was because I was too young. At the time I thought that was stupid – they knew how old I was before the interview. What they really meant was that I wasn’t good enough to be promoted at that age. I remember one of the questions they asked was “What use is astronomy?” I said no practical use whatsoever. This was a time when there had been some notorious accidents with super tankers so they asked if I thought accidents would be avoided if sailors used better astronomical navigation. I said I thought that fitting better brakes to the tankers would do more good. Perhaps they were right! The following year I was promoted without interview. In 1978, just after I moved to the Computer Department, I was nominated for promotion to PSO. This time I had to go up to RAL, and was interviewed in the wooden huts that were then the home of Administration at RAL. Bob Hopgood, who would later be my boss when I moved to RAL, chaired the interview panel. I was successful and so had made it to what was then known as “the career grade for graduate entrants” – that is, where most people should expect to reach by the end of their career – at the age of 34. I was very pleased with that, though the word was that “fast track” admin civil servants were expected to get there by 32. Just to complete the picture, when I moved to RAL it was as a SPSO, later grade 6, later still B and 9 and finally as Grade B, but they were just different names for the same level – I entered RAL and left 26 years later with no further promotions, and was perfectly content with that. In the course of my career I went on various management courses, including two residential ones at The Cosener’s House, Abingdon. One of them had the new-fangled closed circuit TV in operation which came as a horrible shock. This also covers various on-going activities, starting at about this time and continuing until I left RGO. Dave Stickland talked to me about teaching evening classes. At that time he had been doing it for a few years and wondered if I was interested and I said yes. At that time the extra-mural department of Oxford University was responsible for adult education in Kent and Sussex – no idea why, but probably some historic left over. I started a series of two year courses in various places – I remember Sevenoaks, Tonbridge and particularly Gillingham (on the Medway next door to the Royal Navy Dockyard at Chatham). They were incredibly hard work – particularly Gillingham. I would leave work at 16:00, drive for two hours, grab a bite to eat, talk for two hours and then drive back. I remember the very first session I ever did (at Sevenoaks). I had prepared what I thought was enough material for the first term – and got through it all in the first evening! It was often rewarding teaching these people because they were all there because they wanted to be. But it was also frustrating, because they often wanted to delve into the very latest, possibly crazy, ideas before they had a firm grounding in the basics. I also knew that mathematics was a no-go area, but couldn’t resist one evening. There is something called Olber’s paradox – which addresses the seemingly dumb question of why the sky is dark at night. In words – distant stars appear fainter than nearby ones but in a uniform cosmos there are more stars further away, and these two effects cancel each other out. Two simple formulae explain this problem but I could see from their faces that I was not going to win. This was one of the experiences which planted the idea of trying to overcome this terror of mathematics by writing a book. I then had a year in Eastbourne at Willingdon School, but the next year was cancelled after a few weeks because there weren’t enough people. One of them said he had a room in the centre of town where we could meet and they would pay their normal fee to me directly so I said OK. It turned out to be in the basement of a leather shop in the arcade attached to Eastbourne station. It was certainly the most fragrant venue I have taught in. The last year I taught was in a sense the most rewarding. I was asked to give a class in Bexhill by the Workers Educational Association, which my Dad had been involved with for most of his life and which had played its part in getting me started in Astronomy. It turned out that I was going to be teaching in somebody’s front room. I asked if it would be possible to have a small blackboard and they said sure. It turned out to be a child’s blackboard with squares to do sums and a clock face to learn to tell the time. Wendy Pugh, the new vicar’s wife in the village we were living in, did some teaching in the Northeye Open Prison which was then between Pevensey and Bexhill. She asked if I would be prepared to give a few talks on astronomy and I said I would. I found it an horrendous experience going into one of the least threatening of prisons, and found it hard to imagine what a really tough place would be like. In the end I gave three talks but it didn’t really work out. From their questions it became clear that they wanted to know about astrology – perhaps anxious to know that it was in their stars that they were in prison – not astronomy. I found it hard not to scoff at their belief. The Observatory magazine often includes book reviews and as I was doing this teaching I started being given introductory books on astronomy to review. We didn’t get paid but got the book for free, and sometimes they were quite useful. This led to me being added to the reviewers panel for British Book News, which was a rather curious volume. It was published by the British Council as one way of publicising British culture throughout the world. They actually paid for the review, as well as giving you the book. I can’t remember how it arose but I was asked to give an illustrated talk to St Wilfrid’s Church about the Observatory. In those days the technology of choice was 35mm coloured slides and a projector, so I was in a good position to do this. My Dad and Uncle had me helping do the same sort of thing twenty years earlier! It seemed to go down quite well – it was basically pretty pictures of the castle and grounds, a couple of telescopes and about three astronomical pictures. Members of the audience started to ask me to give it to other groups and I found myself giving it almost permanently. Then St Wilfrids asked me to do something similar but different so I did a “Day out to Herstmonceux” talk and the cycle started again. Then the Observatory started using me when they were asked for somebody to talk to Rotary Clubs, Mothers’ Unions and so on. The very last day before I started working at RAL I gave such a talk to a business club in Crawley. It was generally quite fun, but became something of a chore. Now that I have digitized all my slides I have expanded the talks into two PowerPoint presentations. I must say I am bit disappointed at the sharpness of the scanned slides though - I should probably have paid for a more expensive scanner. My new Department was then called “Instrument Development” which gives a good idea of its remit. I have an RGO Annual Report for 1975 which shows I was an SSO in Automation Group, with John Beale and John Pilkington, and with Arthur Milsom as “Acting Head” – I remember Arthur but have no recollection of him being my manager. Alongside us was an Optical Instrumentation Group, headed by Richard Bingham, another good friend who died too early, with Charles Harmer and Mike Lowne. There was also my former group, now known as Vacuum Physics Group, headed by Ralph Powell. During this time I shared an office with Bernard Wellgate, described as “Special Duties”. Bernard had escaped from Nazi Germany before the war, was interned and then allowed to work on Radar. He headed the Electrical Engineering Division at RGO, before “retiring”” to work with Dennis McMullan. We were all in Instrumental Science Division headed by Dennis McMullan, who also had part time responsibilities for Instrumentation for what was then known as The Northern Hemisphere Observatory (NHO). We were also lucky enough to have Charles Wynne with us as consultant – he was the leading optical designer of his day and pioneer of the use of computer modelling to predict the performance of complex optical systems. Other friends from this time – Joe Gietzen and Peter Ellis – were by then leading the Engineering Division. By and large they were good, solid people but not outstanding. They produced some excellent reliable, though conventional, instruments but took a long time to do it. When I met Joe Gietzen at a recent RGO reunion I reminded him that he told me that when he was in the Navy during the war his major terror was not being killed or captured by the Japanese but being captured and losing his glasses. We had our own coffee lounge and it was fascinating to hear the expertise they had in a diverse set of subjects. I think it was Mike Lowne, for example, who was an expert in “atmospheric phenomena” like halos round the moon, sun dogs and so on. I also remember them describing a terrible accident they had with a mirror. There is a superstition that breaking a mirror brings seven years bad luck. Well they managed to break a big 60-inch mirror from the INT coudé spectrograph. It was being cleaned prior to being re-aluminised (astronomical mirrors aren’t “silvered” they have a very thin layer of aluminium deposited on their surface in a large vacuum tank, but it has to be replaced at regular intervals because it tarnishes in the air) and it slid off the supports, rolled around the lab until eventually it fell over and broke in half. These mirrors are very heavy and it could have caused serious damage. There was one piece that was big enough to be put back into the camera, which wasn’t used very often anyway. But given the subsequent history of RGO you have to wonder! It could be said that the Isaac Newton Telescope (INT) was built 20 years too late or was proposed 20 years too early. It took almost 20 years from the first proposal to it becoming operational, and many design decisions had been frozen early on, whilst technology had moved on in the meantime. 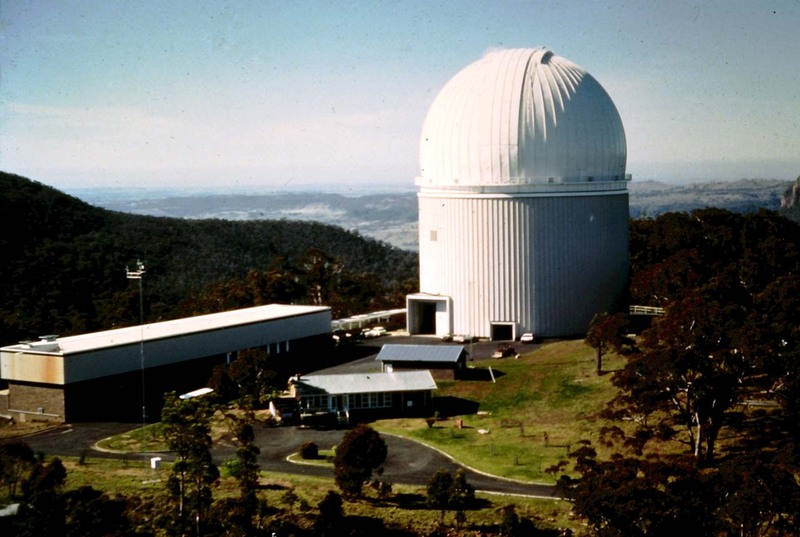 Conversely, had it been proposed later there is little doubt that it would have been built on a much better site abroad, and would have been computer controlled – the Anglo Australian Telescope that was commissioned in 1974 was the first 4-metre class telescope to be fully computer controlled with computer-controlled instrumentation. As it is, its 2.4 m mirror makes the INT the largest telescope ever built and operated in Britain, and given the move to remote mountainous island sites it will remain so for ever. A very readable historical account of the whole building project has been published (The origins and construction of the Isaac Newton Telescope, Herstmonceux, 1944−1967 J. Br. Astron. Assoc. 120, 2, 2010). 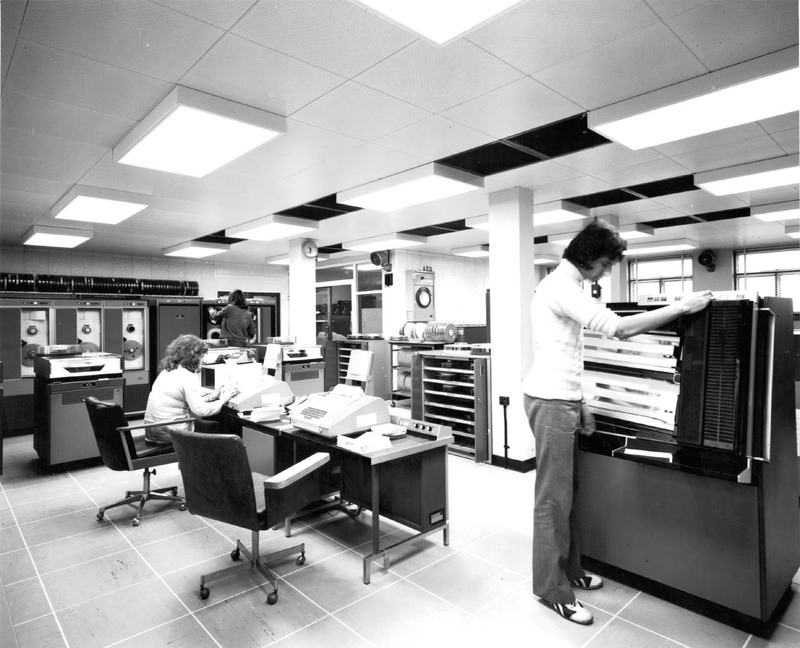 In the early 1970s it was decided that its control system should be computerised and John Beale, who had been working in Geneva at CERN, appointed to drive the project, using a Nova mini-computer. 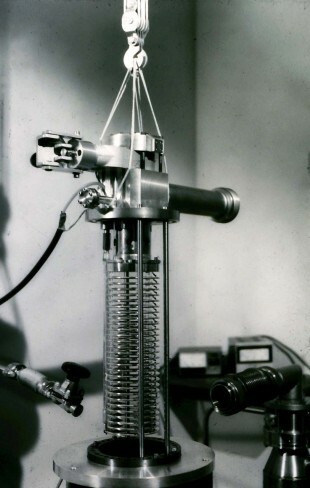 Shortly afterwards it was decided to add a separate instrumentation computer, using a Perkin Elmer Interdata 16 computer for compatibility with the AAT. John started running this project as well, but it was decided they needed more effort so I was asked to pick up the Instrument computer tasks. The timing was a perfect fit with the end of my electron-optics work so I was happy to accept, though I was not sure if I would be able to do it. Everybody was anxious to stress that it would involve “assembler code”, very low level programming, not the high-level, mathematical style I had been used to. The Isaac Newton Telescope sat in a dome raised about 48 feet above the ground. On one side of the observing floor was a small visitor’s gallery and opposite a larger long thin control room, with the telescope control desk at one end and my instrument computer spread along the rest, with not much space for anything else. I spent hours in there during the day and my fair share at night as well. It was a lot warmer than actually doing the observing, there were always several people there at night, you could even have a light on and I didn’t have to drive the damn telescope, so I enjoyed it infinitely more than I had using the 26-inch five years earlier. When we eventually got a 5Mbyte disk drive, tiny as it was in terms of capacity (though it was physically very much bigger than modern drives) the impact it made was unbelievable. What we did have which set it light years ahead of our ICL mainframe computer was a Tektronix 4010 graphics terminal – by miles the device of choice for this sort of work at that time. Though primitive by the standards of today’s PCs – it only worked in green and could only draw lines, not show pictures, but it allowed us to plot our data and interact with it using a cursor. Indeed this sort of computing became known as “interactive graphics”. A common feature of European standards activities led to the acronym sometimes being interpreted as “Committees and meetings in all countries”. When I first started working with CAMAC I was sent on a short course at UKAEA Harwell, which was the lead UK site on the subject. Later John Beale and I went to an international conference on the subject in Brussels. It was held in some European Commission buildings in the city centre, which were fantastically well appointed, with simultaneous multi-lingual translations available on earphones. It was in fact the most boring conference I have ever attended – it was so bad that to make it more interesting I listened to some of the talks in French. I can’t remember how long the torture lasted but I do sort of remember a reception held for the delegates. I have never really been a spirits drinker but they were handing the stuff out in half pint (1/4 litre) glasses. I haven’t felt so bad since I first drank whilst at school. I just about remember being part of a drunken party in the street admiring the Manneken Pis. I also think I managed to knock a picture off the wall in our hotel room – not an auspicious event. You could buy a huge range of standard modules but you could also build your own. Richard Wayte from Imperial College built one to control his state-of-the-art Fabry-Perot interferometer (used to look at incredibly fine details of the spectra of a handful of bright stars over a minute range of wavelength). As far as I could tell it spent most of its time sticking out of the crate being tinkered with. This was before LED lights so the modules could have ordinary light bulbs, which in turn meant the crates had to supply mains electricity. Mixing mains and low voltage digital signal is not a good idea and if anybody brushed against his module in the confined observing space they did mix, with catastrophic results. It was my job to replace the crate when this happened – even in the middle of the night, as “observer support” was part of my job description. One winter’s night I had to lug three different crates up there, and they were quite heavy. Unfortunately, this was at a time when an overflow pipe had frozen and flooded the bottom of the lift shaft so the only way to the INT observing floor was to climb about 100 steps, spiralling around inside of the large tower on which the telescope sat. 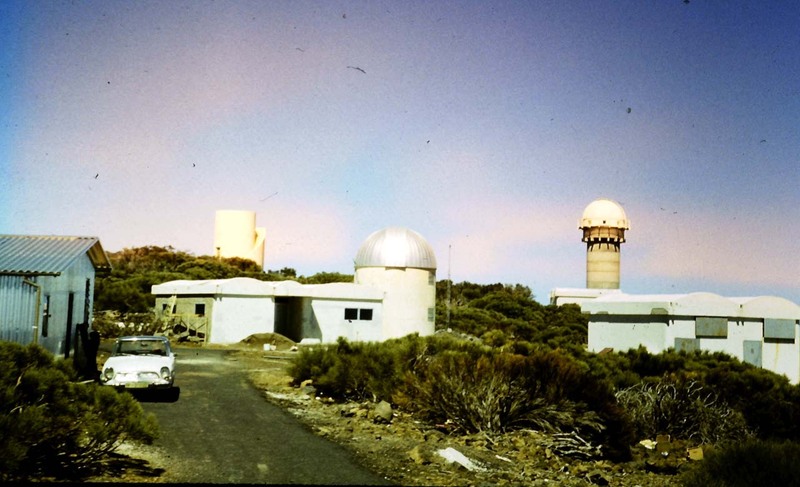 Within a few years the decision would be taken to rebuild the INT on the island of La Palma in the Canary Islands, where it remains an operational part of what is now known as “The Isaac Newton Group” of telescopes. Having got everything up and working it was time to implement our first instruments. 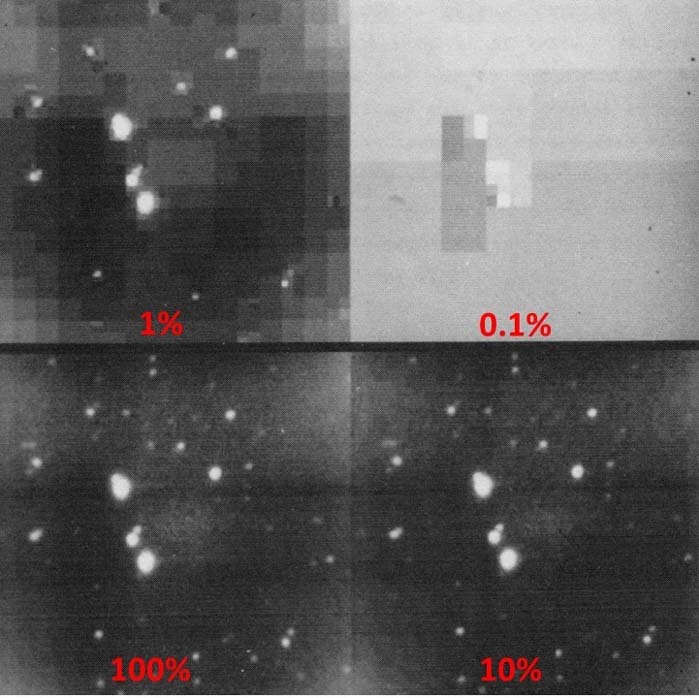 The use of photo-multipliers had become the most effective way of measuring the absolute physical brightness of stars, so they could act as calibrators for the very much larger numbers of stars whose relative brightness could then be measured on photographic plates using a new generation of measuring machines. The photo-multiplier converts faint light from a star into a measurable current that can be converted into a number using a standard CAMAC module. Working with Derek Jones and Roy Wallis we got a system working and I wrote some test software that offered various exploratory options for collecting the data. This proved very successful and was used for many years. Not only could we do the basic photometry, and get excellent estimates of the errors involved, but with minor changes to the software we were able to monitor variable stars over all sorts of time scales. 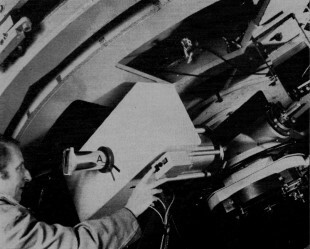 The success of the photometer on the INT encouraged Derek Jones to bid for money to add a similar system to the 36-inch Yapp telescope, which he had much more regular access to. Funding was found and a small computer hutch built onto the dome floor – which was still there when I last visited it in 2018. We also bought a later model of the same computer as on the INT, but insisted that they demonstrated that the same programmes would run on both. When we explained this to the engineer during acceptance testing he said “OK”. We started a programme running on the INT machine, paused it and turned the power off. He then opened the box, pulled out the memory board and stuck it into the 36-inch machine. When he powered that computer up the programmes started running as if nothing had happened. First, last and only time I have ever seen that done – and it certainly passed our acceptance tests. 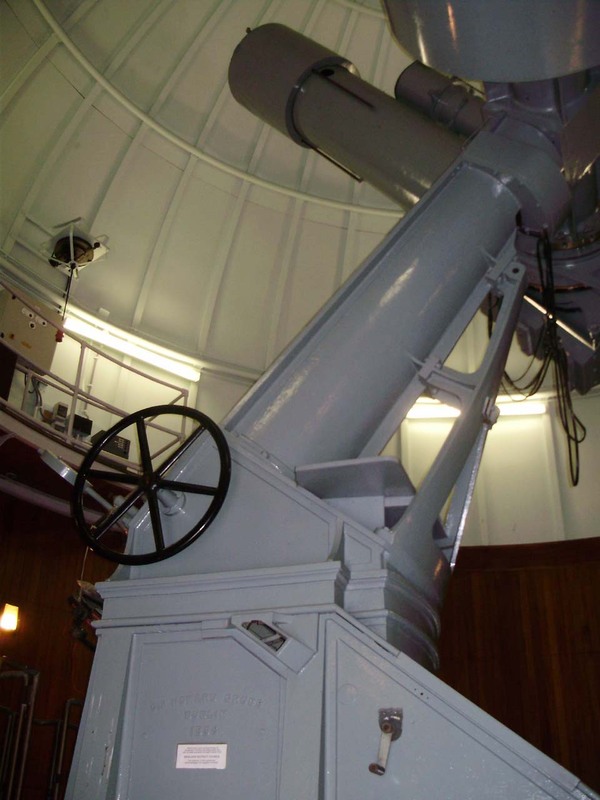 The Carlos Sánchez Telescope, installed at the Observatorio del Teide, has a primary mirror diameter of 1.52 m. The TCS was designed and constructed under the direction of Prof. J. Ring, in collaboration with other groups from the United Kingdom and the Instituto de Astrofísica de Canarias. Operative since 1972, originally it was designed as an infrared flux collector, being one of the first thin mirror telescopes. Basically it had a cheap and cheerful mirror that simply collected all the light it could from one tiny patch of sky so you could measure its brightness. They asked me to help them to get the data from their photometer into a computer. I got it working on the 36-inch at RGO and went out with them for extended observing runs in two successive years. The instrument they were using was called the RGO two-channel travelling photometer – basically a portable instrument that could be strapped onto almost any telescope in the world, and was. Everything worked at home but when we got out there it was disastrous. I never found out what was going wrong but it was the exception to the rule that what goes in must come out – it did, but in what seemed like a totally scrambled form. There must have been a wiring or encoding problem somewhere which I never managed to work round. 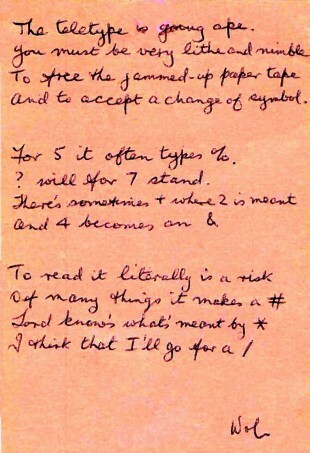 On the first trip I spent the nights writing down numbers that Derek and Wol (Roy Wallis) called out to me. The second trip went much more smoothly, except we had a problem one night with the Teletype (an ancient form of electric typewriter we used as computer terminal). Wol was moved to write a poem which I still have. We spent two weeks up the mountain each year, basically sleeping in the instrument workshop and working all night. It was a good site because it was sufficiently high that the atmospheric “inversion layer” was below us, so the dirt, light and other disturbances of the land were trapped below a layer of cloud. It was rather like living on a cruise ship. At about this time the decision was taken that the NHO would be on La Palma, also in the Canary Islands. We could see it in the distance sticking out above the clouds. 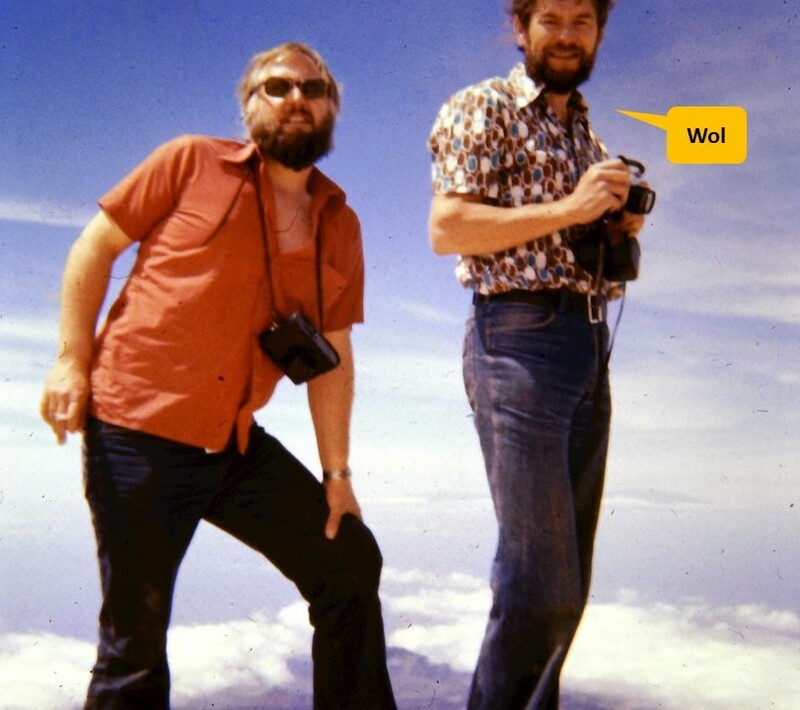 Wol and Derek had got into the habit of spending the night they arrived in the Parador hotel – one of a chain of Spanish national hotels – in the caldera (collapsed volcanic crater) at the foot of Mount Teide. The first day we arrived there was a dust storm blowing in from the Sahara, but the following morning I threw back the curtains and right in front of me was my first view of Teide – unbelievably spectacular. Every few days we would “go ashore” as it were to do some shopping and stop off on the way back for a meal in what Wol called a Bodegon, which seemed like basic local taverns, miles away from the touristy traps in the towns. When you bought wine they obviously decanted it from a barrel into whatever sort of bottle they had to hand – often a Coca Cola bottle. The food was basic – steak or chops (ordered by the kilo) or chicken (the basic unit being one chicken). They also served “canary potatoes” – potatoes that had been boiled in salty water until all the water had evaporated leaving a crystallised layer of salt on the outside. We also ate “flaming” sausages with a very spicy dip. One memorable occasion we went to meet the local support engineer who said his wife was going shopping and to come along with them. By “shopping” he meant sitting in the bar next to the village store drinking tumblers of the local brandy. When the shopping was finished he said to follow him back to his place, which we did through some very twisty back streets. We lost him and suddenly found the road had changed into a set of steps leading downwards and the front wheels were over the edge. I said don’t worry, jumped out and lifted up the front of the car – it was a very small car – whilst Wol reversed out. Then we discovered that there was a car in the way – we had gone past it forwards but reversing past it after imbibing brandy was another story. Whilst on site there wasn’t much to do apart from throwing rocks at wine bottles perched on the edge of the glass pit. We also tried burning the rubbish and succeeded in setting fire to an area of the very dry local retama bushes. It was quite scary for a few minutes. My abiding memories are the companionship and the quality of the night sky. One night they asked me to go outside to see if there were any clouds around. I did so and came back saying there were some visible against the Milky Way. I was told not to be stupid – it was so dark and clear that I was seeing the detailed structure of the Milky Way with the unaided eye. Wow! In 1968 Pulsars had been discovered by Jocelyn Bell at Cambridge Radio Observatory – I remember hearing Ryle give one of the very early presentations when their first three detected sources were labelled LGM1, LGM2 and LGM3. When they had found these incredibly regular, fast pulses and shown they did not originate on Earth, they did for a time wonder if they had detected aliens in space – Little Green Men. A year later Mike Disney and John Cocke discovered optical pulses from the pulsar in the middle of the Crab Nebula, which was known to be the remains of a star which had exploded and was visible on Earth in 1054 – though not by European astronomers for some reason! Graham-Smith had been heavily involved in Pulsar research at Jodrell Bank, and when he came to RGO he was anxious to continue that work if at all possible. Minor tweaking allowed us to observe the Crab pulsar – it flashes 30 times a second and we were able to measure it’s brightness every 1/1000 of a second. We did lots of work on this at RGO and published a few papers on it. By pushing even harder we could get down to measurements every 1/10000 of a second – 100 microseconds – which was considered to be high speed in those days. One of the problems with developing these detectors was to have a suitable test light source that did not need time on a telescope at night. Fortunately in the UK mains electricity fluctuates 50 times a second so if you look closely enough everyday lights flicker at the same rate. I became the world expert on observing the INT’s dome lights. However, the Crab was still the only pulsar seen in optical light. The theory was that only young pulsars could do this and pulsars slow down as they get older so the very fastest ones were the strongest candidates. The next fastest after the Crab was visible in the Southern hemisphere, in the constellation of Vela. We applied for time on the Anglo Australian Telescope, and were told that an Australian group had also asked for time so we were “encouraged” to join forces. That is what we did, but unfortunately I wasn’t needed to go out there. However, the team was successful and we were able to publish our results in the most prestigious of journals, Nature (Detection of Optical Pulses from the Vela pulsar, Nature Vol 266, pp692-4, April 21, 1977). This was the most substantive scientific discovery that I ever made – or at least, got part of the credit for. My contribution was essentially nil. 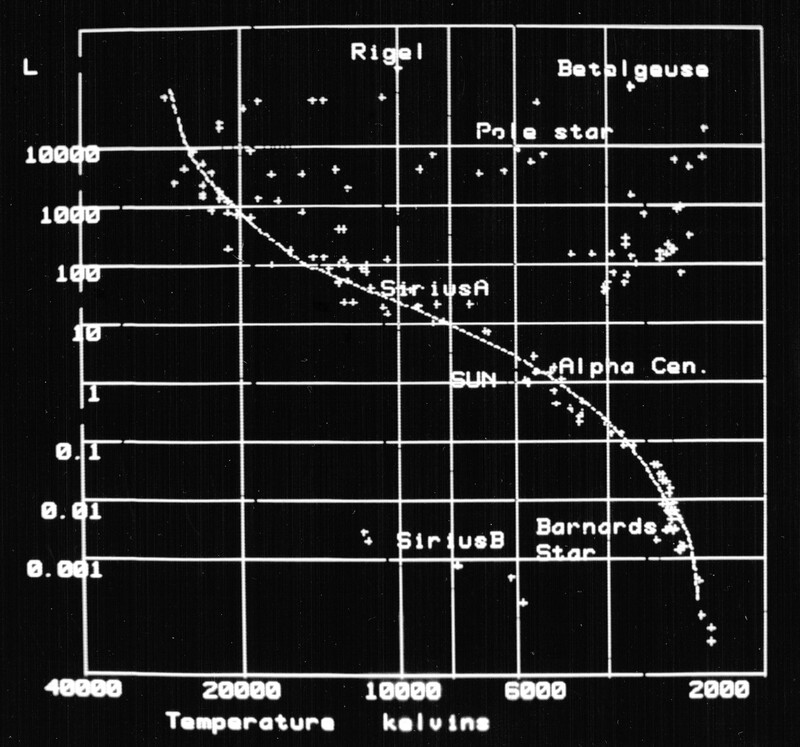 In August 1978 we were given more observing time to look for a third optical pulsar with the exciting name of PSR 1913 + 16. PSR stands for Parkes Radio Source, the rest is about its position. Its radio period was 59ms compared with 33ms for the Crab and 45ms for Vela. This time nobody else could go – or they all thought it was a waste of time or I ought to be rewarded – so I was lucky enough to be sent to Australia for two weeks to do my bit. It took about 26 hours to fly out there in those days – I was flying tourist class, of course. The plane was quite crowded and the couple next to me were taking a giant teddy bear to some lucky relative. We stopped at Calcutta (where we were disinfected before they opened the doors, though we weren’t allowed off) and Singapore (where we were allowed to wander round the airport shops, gawping at the amazing range of Japanese cameras on sale). We eventually arrived at Sydney International airport early in the morning. I had to get a taxi to the internal airport for my flight up to Coonabarabran, which is 450 km NW of Sydney. I was so jet lagged that I couldn’t work out whether we were driving on the left or right of the road. I was waiting for the plane in the departure lounge, feeling like a zombie, when I met Pat Wallace for the first time. He wanted to talk about the subtleties of pulsar timing and I would have struggled to tell him what 2+2 was. By this time Ken Elliot, the third member of the team, had joined us. I have no recollection of the flight to Coona or the ride out to the AAT, but having settled into the on-site hostel and had most of a day’s sleep I was ready to start work. 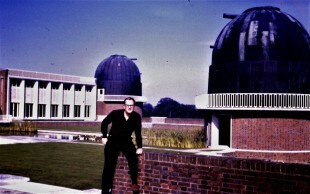 Ken Elliott was a young staff astronomer at the AAT then, but soon returned to the University Birmingham where he continued to work for most of his career. He is still an Honorary Research member of the Astrophysics Research Group there. Pat Wallace was an extraordinary scientist and person. He had led the team that implemented computer control of all aspects of the AAT, the first time that had ever been done. He was consulted on many of the telescopes built during that period. He also had a strange mode of speech and sense of humour. I remember we were having lunch at RGO when I returned to the table carrying one of Mrs Marples’ chocolate sponge puddings covered in chocolate sauce. Something about the way I was carrying it prompted him to say in a deadpan voice “I hope you feel better now.” He was also a talented musician, and I remember him lecturing the group on the problems of high altitude bagpipes. He later returned to RAL where he headed the Starlink project. It is hard to explain how hard it was to observe these objects. We needed to be able to “fold” the data to create a light curve stretching for precisely one period, as defined by the radio astronomers. The trouble is that we needed the period very, very precisely or we would scramble the data. This pulsar has about twenty cycles per second and we were going to observe for about three hours, or 10,800 seconds. To get a clean light curve we need a drift of no more than 1/100 of the period so we needed the period accurate to one part in 100*20*10800 or 20 million. The problem is worse because the pulsar itself is slowing down, and we are observing it from a rotating Earth that is also orbiting the sun. Those movements affect the observed period. Finally, and not a lot of people know this, the Earth doesn’t actually orbit the sun! The sun and planets together orbit a point in space called the “barycentre of the solar system”, in effect the solar system’s centre of gravity. The mass of the sun is very much greater than the planets so this point moves and is usually just outside the surface of the sun, but it is enough for us to have to correct for it. Only one observation gave a light curve with a significant non-random component. This was found to be due to a single event at UTC 1978 August 23 09h 31m 12s.047, which did not appear in the sky channel and was roughly Lorentzian in shape with a full width at half maximum of 6 ms. This pulse is presumably spurious, perhaps resulting from the passage of a meteor or Earth satellite across the aperture. With the pulse removed, the sum of all the observations gave a light curve without a significant pulsed component. That is the pedantic scientific way of saying “we found nothing”. We got quite excited for a while, though, especially as it was on our first night. The UK Schmidt Telescope shares the site with the AAT and I was given a guided tour. This was one of two identical telescopes, the other being on Mount Palomar, California. These are special telescopes designed to take superb wide area photographs, with the intention of surveying the whole of the sky – one covering the North and one the South with some overlap on the celestial equator. 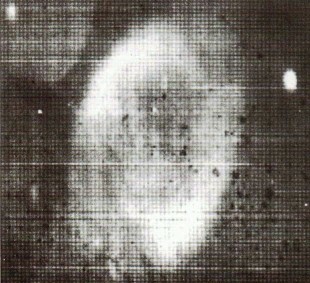 Given that they were photographic they were some of the most efficient data gathering machines ever used by astronomers. They produced glass photographic negatives 356 x 356 mm (14 x 14 inches) square, covering 6.4 x 6.4 degree areas of the night sky. By comparison the full moon is about 0.5 degrees in diameter. On a good night the image of a star is 15 microns in diameter. Even at one pixel per star that amounts to 23,733 pixels squared and you probably need 10 times that to do serious measurements. 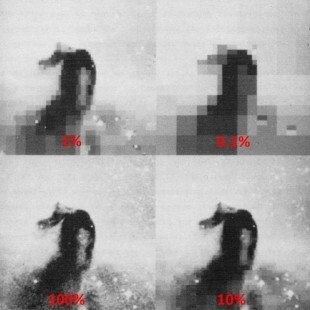 That’s a lot of pixels, and the need to exploit them gave rise to a whole generation of major measuring machines. Fellget and Reddish and their team at Royal Observatory Edinburgh built two machines – the first one (GALAXY) came to RGO and the later, more sophisticated one (COSMOS) stayed in Edinburgh. A second generation machine called APM (Advanced Plate Measuring) was built by Ed Kibblewhite at Cambridge, which was much faster because it exploited the more sophisticated electronics and software that were becoming available. RGO itself had a very accurate scanning machine (PDS) that simply digitized plates and films – particularly the electronographic films produced by Dennis McMullan’s electronographic cameras. I used PDS on my films and was later in charge of providing a user service on it. It needed improved engineering and I wasn’t much good at that, so eventually John Pilkington and then Alan Penny took over and did a much better job. This whole area of exploiting Schmidt images was one area of optical astronomy that the UK led the world in at a time when our other contributions were at low ebb. Meanwhile, the trip to Australia wasn’t all work and in fact it was an amazing experience. Staying in the hostel was interesting, meeting astronomers from all over the world. One new thing to me was that we all shared in buying wine boxes – the first time I had ever seen such a thing. Our observing time was in the first half of the night, and one night I was walking back to the hostel through the bushes after midnight when one of the bushes stood up and hopped away – my nearest encounter with a wild kangaroo (and a heart attack). They also took me into Coona’ one day. It is a small town (population just over 2000) and had the feel of the sort of place you see in cowboy films. There was a saloon on the crossroads in the centre of town, with a covered wooden veranda. On the way we saw what I was told was a Kookaburra. I hadn’t made any plans for getting back to Sydney and it proved difficult – it was a holiday weekend and all the flights were booked. However, it turned out that the Chairman of the Science Research Council was going to pay them a visit and a small private plane was flying down to Sydney to collect him. They offered me a lift and I jumped at the chance. It was amazing – the pilot invited me to sit in the co-pilot’s seat so I had a terrific view, including a guided aerial tour of Sydney harbour. We landed at the International Airport and I had the impression of dozens of jumbo jets queuing up to take off after I had landed. I stayed in a hostel at Macquarie University, close to the AAO headquarters. The guys took me out to a typical “restaurant” one evening. The front looked like a butchers – you bought raw meat there – and then took it into the back room where a huge multi-user barbeque was operating. You cooked your meat yourself and helped yourself to salads and potatoes. Another evening I met Louise Webster and we went to the theatre underneath the main auditoria of Sydney Opera House. We saw a Noel Coward play which was a weird experience amongst all those Aussies. It was the last time I saw her. I was also driven over the harbour bridge – another first for me was seeing a large hopper into which you tossed coins that were counted automatically. Eventually it came time to leave, and then the real excitement started. We had landed at Dubai to refuel in the middle of the night. Soon after take-off some of us saw a huge trail of flame coming out of one of the engines. Most passengers were asleep, but one could almost hear those that were awake stop breathing. Nobody said or did anything. Half an hour later the calm voice of the pilot said “Some of you may have noticed we had a slight problem …!” We landed in Bahrain and eventually were ferried to a plush hotel. The only thing I remember about it was that I asked for fruit for breakfast and it arrived filling a huge serving plate. They kept on saying we would be taking off in a couple of hours so it wasn’t really possible to see anything, though I did have a walk around the block and dabbled my toes in the Persian Gulf. Eventually they flew a new engine out and by the time it was fitted we had been there for 36 hours with no luggage, not even a toothbrush. The remainder of the flight was blessedly uneventful, except an announcement was made that two of the passengers had become engaged. During our work on pulsars it was decided that we wanted to be able to take pictures at different stages during the cycle, and keep adding them together cycle after cycle. The way we did this was to start off with one of our electronographic tubes and form a small image at its centre. 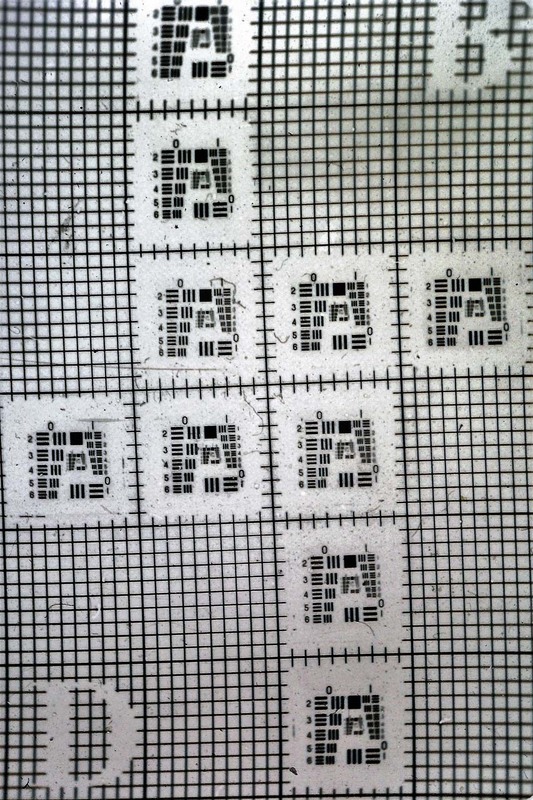 Then we used coils wrapped round it which generated magnetic fields that allowed us to move the output picture up and down, left and right so we could create four rows of four images laid out in a square on the output film. Once we had the coils working properly it was “just” a question of changing the currents on them to move the images around exactly in phase with the pulsar frequency. Technically it was huge fun and very rewarding when we got it working, but I can’t say it generated any interesting new science. It did show clearly which of the two stars in the centre of the nebula was the one that pulsed, but everybody already knew that. People started to realize that the systems we had built for the INT and 36-inch telescopes were actually much more powerful for data analysis than the Observatory’s mainframe computer. This was because it allowed users to interact with their programmes and data “in real time” i.e there was no messing around with putting cards in and waiting hours for output, things happened as soon as you pressed a button. Two visiting Americans – Peter Wehinger and his wife Sue Wyckoff - were particularly keen. Between us we developed a software radial velocity measuring machine for difficult spectra where the lines weren’t easy to spot. The idea was that if you identified one line, it calculated its observed wavelength and then used that to predict the real wavelength of another line – the point being that initially you didn’t have much idea how fast it was moving. They encouraged me to give a talk about it at an Herstmonceux conference, which I did. The listeners weren’t very impressed – they thought we ought to be comparing our spectra with a “typical” one using “cross correlation techniques”. I just did what the customers asked and they were happy! Pete and Sue were a big asset during their time as RGO and we became quite friendly, particularly with Sue - she played hockey with us for a couple of seasons. They told us about Mexican chilies but they had never tried Indian food so we took them out and force fed them the hottest dishes on the menu. They eventually admitted that they were really hot. Sue is now a Professor in Arizona and Peter has a research post there. The main problem was getting the data into my computer. They had to scan the spectra on the PDS machine, and bring it up as very large rolls of paper tape. It was all too easy to push the centre of the roll out leaving a beautifully twisted mass of fragile paper. I remember one day taking one such mess out onto the INT’s balcony and letting it unravel over the edge before being able to rewind it! The breeze helped wrap it around the cylindrical building. At this time those of us working on mini- and micro-computers knew that we were the future and those old fogeys who continued to stick with the traditional mainframes – what I later heard people at RAL call “Big Iron” – were as doomed as the dinosaurs. In 1977 I was asked to review computing at RGO and recommend a way forwards. I don’t remember anything much being done with my recommendations – I don’t even remember what they were – but when Albert Carter retired as head of the Computer Department shortly afterwards, I was asked to take over and do something about it. I said I would do so, but did not intend to stay in the job more than 10 years. So I started on the next stage of my career. When I became head of the Computer Department in January 1978 it was within the Division known as Almanacs and Time, which was headed by George Wilkins. He was also Superintendent of the H M Nautical Almanac Office, which was another group in his Division, but with a considerably longer history. Mind you, before we had computers we had Computers – staff with that as their job title whose function was to carry out calculations, using whatever tools were available. I was told that my predecessor Albert Carter had started work at the Observatory as a “Computer junior grade”. The first “Nautical Almanac and Astronomical Ephemeris” was published in 1767, by Nevil Maskelyne soon after he became Astronomer Royal. (Maskelyne unfairly got a very bad press in the book Longitude, being cast as the villain who did everything to thwart the hero Harrison.) In 1832 responsibility was transferred to a separate body - H M Nautical Almanac Office - and then back into RGO as functions coalesced at Herstmonceux after WWII. I was quite conscious that I was joining a venerable part of the organization. 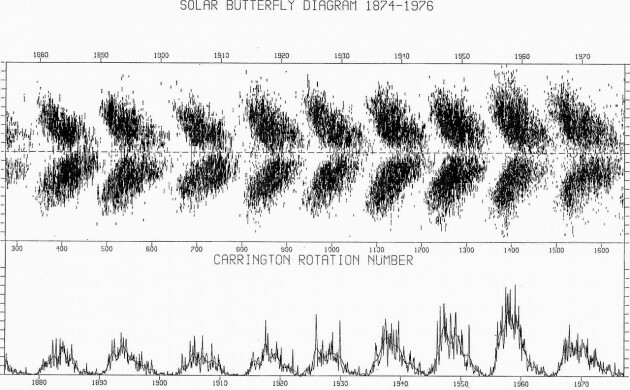 Calculating star positions, planetary and lunar motions, sunrise and sunsets and so on from raw observations had always involved intensive computation so it is not surprising that Computing had started within HMNAO and was for the time being still associated with it. Personally I was very happy with that as I got on very well with George – and I still consider him to be the best man-manager I ever had. However, I would not say we were close – our interests were too different. Moreover, it has to be said that the bright young research astronomers thought of him as a dull old fuddy-duddy who had no place in the bright new world. 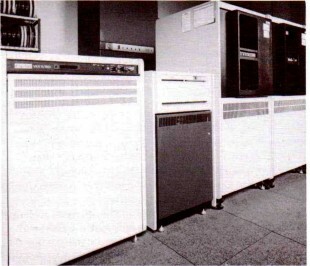 RGO had been a user of British ICL computers for many years and was still running an antique ICL 1903T which was an upgrade installed in 1974. This was providing the entire service for an organization of around 200 people and it had 288 Kbytes of main memory. I used to tell people that there was a more powerful version – a 1904A – in the Science Museum whilst we were still relying on ours. However, by the time I joined it was moving forwards slowly and we did have some Visual Display Units (really “glass typewriters”) attached which allowed users to edit programmes and put jobs into a queue that would be run when it came to their turn. Most output was still on “line printer” paper – poor quality, uppercase-only, 180 columns wide, fan-folded paper with alternate green and white lines. One of the options in the last Finance reporting tool I used before I retired had an option to mimic that look and feel, forty years later. We also had a rather nice graph plotter, which basically drew black lines on a long wide roll of paper. Soon after we got it working I helped produce a terrific diagram of all the sunspot observations made by RGO over more than 100 years – the so-called “butterfly diagram”. The plotter’s manufacturer, Calcomp, was asking for sample output so I submitted this and they published it. It also appeared in the 1978/9 RGO Annual Report. Mainframes like ours were run by teams of operators - the nearest users got was peering through the windows in the computer room. We were running two shifts a day, with a shift leader and two operators, supported by various Data Preparation operators. The operations were capably run by John Carey, who later moved to join the Joint Network Team at RAL. By September 30 1979 I had 13 staff in all working for me, with a group of programmers working on data analysis including David King, Dave Pike and Phillip Taylor. Phillip was doing consultancy work at RAL when I retired – we used to meet in the canteen occasionally. Dave Pike worked at RAL for many years but has now retired. David King transferred to London and I eventually lost touch with him. In those days computers needed intensive maintenance by a team of engineers which took half a day each week. Before my time It had been arranged that this would be done on Friday, but that the engineers had to have the machine at 12:00, so it was entirely reasonable for the staff to troop off to the Lamb Inn at Wartling for an extended lunch break. This was a tradition I did not feel it necessary to stop. In those days we had no means of displaying images either on screen or paper. However, what we did have was a small GEC computer that acted as a “Remote Job Entry” terminal to the large IBM computer at RAL. The RAL people didn’t want us to have our own computer, and preferred us to use this approach. Nobody at RGO liked that but it gave me access to an amazing graphics device called the FR80. Basically it was a single machine that could generate all sorts of graphical output onto a whole range of devices including 35 mm colour film. I used it to play with some of our pulsar images and then worked with Paul Murdin to visualise some of his fantastic data on the Crab Nebula – basically to generate colour images of the front and back of the nebula separately. This was possible because the nebula is transparent and expanding, so the front is coming towards us and the back moving away. They are therefore moving with different velocities, but because the nebula is transparent they can both be seen at the same time. This made it to the front page of the same 1978/9 Annual Report. Pat Wallace and Mike Disney wrote a paper (Disney, M. J.; Wallace, P. T., QJ Royal Astron. Soc. vol.23, p.485 (1982), on the origins an early history of Starlink, which makes interesting reading. There is also material in Bob Hopgood’s Computing at Chilton web. I was a member of the Panel and was given particular responsibility – with Alan Francis, who used to be at RAL but was then at the Open University – for image display systems. In those days you needed dedicated hardware to display and manipulate images. We agreed on the sort of thing we were looking for and looked at all manner of offerings and approaches on the market. Eventually we chose a product called ARGS (for Advanced Raster Graphics System) made by a British Company – a big plus – called Sigma, based in Sussex. I think this was a good choice and, after some initial delivery problems, they served us very well for many years. I will say more about them later. They were about the price we expected – around £20k each – so we could only afford two per site. The choice of computers was much more controversial. 8th meeting of Panel accepted the DEC tender rather than the Prime (Disney, Aleksander, Alty, Miller, Francis, Terrett, Kibblewhite, Mackay, Davey, Hartley, Lawden, Pavelin, R Martin, Casey, Dean, Ward). The fact that we had chosen British image displays sweetened the decision to buy American computers. And I soon realized that this was indeed the right decision. Starlink Software Workshop at Appleton Laboratory (Allen, Crane, Fosbury, Golton, Hartley, Hewer, Kibblewhite, Lawden, Murdin, Norris, Pavelin, Skinner, Snijders, Wallace, Warne, Wells). The recommendations of this workshop laid the basis for Starlink's software development plans and the initial design of the Starlink Software Environment. This was the only time I ever went to the Appleton Laboratory (at Slough, literally next to the M4), and until researching this I had forgotten or never known that this must have been within a year of it closing and moving to Chilton. Technically my strongest memory of it was a presentation from Ted Golton, of Appleton Laboratory, bidding for Starlink to base its systems on his data analysis software of the International Ultraviolet Satellite. IUE was a huge success, and the software was functionally brilliant but it was riddled with the elderly and opaque IBM job control language which did so much to make users hate IBM computers! Other memories of the event are us nearly running over a deer as we drove through Ashdown Forrest very early on the first morning, staying in a hotel directly opposite Windsor Castle (I think it was The Harte & Garter Hotel) and being awakened at dawn as the Horse Guards rehearsed outside our windows for a big royal parade, and sitting in the meetings hearing occasional “booms” from outside, which I eventually learned were set off at random to scare birds off the crops in the adjacent fields. ACKNOWLEDGEMENTS: STARLINK was the brainchild of many, but in particular Igor Aleksander, Jim Alty, Alec Boksenberg, Peter Casey, Bob Dickens, Pete Davey, Richard Ellis, Bob Fosbury, Ken Hartley, Ed Kibblewhite, Mike Lawden and Cliff Pavelin. }In 1980 the DEC VAX 11/780 machines were delivered and my group started running the RGO node. In spite of all the talking we had done I don’t think I had actually seen one of these things before it arrived. It had been decided that my whole group would move into one floor of a dedicated wing of the West Building, so I had to move out of my rather nice old fashioned office on the ground floor into a new rectangular box in the basement. We had offices down one side of the wing and on the other was a large computer room, an open terminal area where our two ARGS and other terminals would be and another room for storage and for later expansion. At least the users could go into the computer room – indeed they had to because there were no operators - they had to load their own magnetic tapes on which their data came and went. The whole place had to have a false floor so they could put massive power cables under the floor. I was told it needed “three phase wiring”, and I never understood what that meant! By the time the next model came out you just plugged it into the wall and saved thousands of pounds. I had good staff to run things so was able to devote quite a bit of time to developing software that exploited the various software libraries that comprised the Interim Starlink Software Environment. I had met a visitor from the NASA Jet Propulsion Laboratory and he had given me a brochure that showed the image processing functions they had implemented. I now had the opportunity to implement them for the UK community. Not only were these useful in themselves, it was also an invaluable exercise in thoroughly testing the Starlink software to see what it could deliver, and sell its value for real applications to real users. An interesting by-product was that it allowed me to give some impressive demonstrations to all manner of visitors; at one time it felt as though that was all I was doing. With the help of the RGO photographer Dave Calvert we captured these demonstrations on video tape, and then edited them into what we called “STARLINK the Movie” – it wasn’t very good but it was an interesting exercise, and quite advanced for its time. One of the limitations of the human eye is that whilst it is brilliant at seeing different colours it is not very good at shades of grey. I used to show this by displaying an image using 256 shades of grey and then reducing it in turn to 128, 64, 32, 16, 8, 4 and 2.It was only when it got below 16 that any difference was discernible. The trouble is that most astronomical images are represented as negatives, with the brightest parts black and the faintest pale grey to white, but the most interesting details are often those which are just barely brighter than the background. Tweaking the brightness and contrast helps but is limited. It was easy to do that on the ARGS in two ways – one was to rescale the values in the image and re-display it, but that was a bit slow, and the other was to exploit the ARGS’s internal facilities. If you need an automatic way of optimising the display of an image what you need to do is to rescale the brightness values in a non-linear way so, as far as possible, every output value appears the same number of times. This is known as “histogram equalization” and I was having difficulty working out how to do it. Fortunately one of the smartest things I did at this time was to hire William Lupton. He had applied for a job with the NHO, soon to become the La Palma Observatory (LPO), team. For some reason they didn’t hire him but suggested I take a look at him. I did and hired him on the spot. Fairly soon they realised their mistake and stole him from me. However he wrote a beautiful histogram equalization routine which was often the easiest way of showing what was really in an image, if you had the time to run it. However, the ARGS provided a neat way of achieving a similar result - it provided a set of look-up-tables which held 256 values that defined what shade of grey appears on the screen corresponding to each brightness value in the image memory. Changing the look-up-table was a very quick and flexible option so we wrote lots of routines to manipulate those tables. The ARGS allowed us to specify colours as well as greys in these look-up-tables – by defining Red, Green and Blue intensities (grey appears when Red=Green=Blue.) With 256 choices of each that gave us 16M colours to play with. The result is what is called a “false colour” image, where different intensities are coded to different colours, for example from cool blues to hot reds. The range of options is enormous. Astronomical images tended to be black and white because colour detectors were then far less sensitive and were much harder to make. What was sometimes done was to take three images in different colours of light and then combine them into a true colour image – this is still what is done to create the beautiful colour pictures from space probes such as the Hubble Space Telescope. I persuaded the ARGS to allow us to display that kind of image. However, most astronomical objects don’t actually have much colour information so I wrote some routines to enhance the “saturation” or intensity of the colour leaving the hue and brightness the same. The results were quite spectacular. The traditional way of displaying the intensities of an image had been the same as is used in maps to show the height of the ground – drawing contours joining up points of equal height above sea level. The really cool way of displaying this is to “overlay” the contour map on top of the brightness display, and the ARGS allowed you to do this, by using some of its memory as a line plotter, and we could access this feature using our standard graphics software to do what we wanted. Another approach is to take a line through part of the image and plot the brightness along that line. I used the ARGS overlay feature to use the cursor to define, and redefine, a line, seeing the plot change as the line is moved. Paul Murdin saw me doing this one day and asked if I could help him with something he was doing. 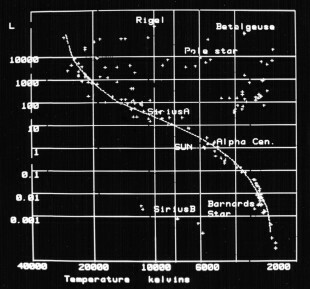 He had been asked to produce some animations for an Open University programme on “the H-R diagram” – a plot of the brightness of stars against their temperatures which separates out all the main types of star. He wanted to be able to switch between various groups of stars, add some lines and labels all at the flick of a switch. He was quite pleased with what I eventually came up with and in due course it was broadcast. Whilst on the subject I once appeared briefly on TV. The BBC were producing a series of popular science programmes and came up with the idea of exploring the “full” address of people – the sort of things that most kids have done at some time – town, country, earth, solar system, milky way etc. They asked me to show Maggie Philbin, the presenter, the 26-inch telescope and pretend I was showing her the Orion Nebula – a place near us where stars are being born. I was happy to help out, but given my history with the telescope it was rather ironic. The picture processing Special Interest Group, in the absence of any existing VAX image processing packages, recommended that some programs written within the emerging Starlink Software Environment be collected together and released as one package. The result, ASPIC has now (i.e. May 1982) been in use for almost a year and currently includes over 100 programs. It also includes a surprisingly powerful command language called DSCL which is implemented as an extension to the standard VAX control language. I am not sure exactly when, but at some time in the early 1980s I was sent on a one week “Selection and Promotion Interviewing” course at the Bear of Rodborough pub just outside Stroud in Gloucestershire. It was a good course, mixing theory with practical sessions, using students from a local college. On the Wednesday evening I was told there was phone call for me (no mobiles in those days!). When I answered I discovered it was my boss, George Wilkins, telling me very apologetically, that it had been decided to move my department from him to Astrophysics under Jasper Wall. He was appalled at the way the decision had been made and was being broken to me, and was not very happy with the decision either, but when I got back on the Monday I would have a new boss. I had enjoyed working for George Wilkins but admit that I would feel more comfortable associating with the research astronomy community. At about this time Wol wrote a variant on Waltzing Matilda about me and my group. Not everybody gets a song written about them so I am including it here! Feet in the air with Computer Weekly. And he sang to his staff as he waited till his kettle boiled. “Wait on me Carey, wait on me Ke-ir, wait on me Hebson and bring me my tea. Sprang to his feet shouting “What do I see? “Wait on me Carey, wait on me Ke-ir, wait on m ehebson and bring me my tea. Vented his wrath on the brave Hart-ley. “Now I’m in charge this Department will be organized. Now I’m in charge this Department will be organized. Leaving his staff celebrating with glee. The reference to “George” may be either George Wilkins or the GEORGE 3 operating system used on our ICL computer or possibly both. The “slaves” mentioned are John Carey who moved to RAL, Brenda Harris who was indeed an enthusiastic needlewoman and who retired soon after this, Stuart Keir, who later became Starlink node manager at Sussex University and shift leaders Chris Hebson, who came to RGO from RAL and Nigel Holbrooke, who was from Normans Bay and whose “day job” was being a fisherman whenever the tide was right. It would be nice to think that I had slaves to make me my tea, but in fact we all went along the corridor to a common West Building coffee lounge where we made our own. It was a great place, along the lines of Piccadilly Circus where if you waited long enough you were sure to meet anybody you wanted to see. It was also where Bread and Cheese lunches were held at this time. These were lunches where we bought in bread, butter and cheese, and later sliced meats and pickles, ate what we wanted and paid what we normally paid for lunch. My recollection is them starting soon after I arrived (1968) and holding them in the large “Astronomer Royal’s Team” office in the Castle above the canteen. I certainly remember using used computer output as tablecloths! The proceeds usually went to Oxfam. Whilst looking for something else I found an article in the last ever issue of Spectrum, October 1998, when RGO at Cambridge was finally closing down. Andrew Johnson writes that “Between 1967 when the tradition started at Herstmonceux and the move to Cambridge in 1990 the amount raised was just under £6000. In the eight years since then we have raised more than £3700. That makes a total close to £10K – and a huge number of convivial lunches.” I was pleased to attend one at Cambridge the only time I visited the RGO there. At about this time I was invited to sit on a new body, which was called something like the ”Computer Co-ordinating Committee”. At that time the Science Research Council had four institutes and this body consisted of the computing managers from each of them. I went from RGO, Ralph Martin (who would take over from me when I left RGO) from the Royal Observatory Edinburgh, Brian Davies (who later moved to RAL) from Daresbury and Bob Hopgood (my future boss) from RAL. I think the Director RAL, Geoff Manning, chaired it and there was somebody from our head office in Swindon. Eric Thomas was the organizer and secretary – this was the first time I met him and the start of a long-lasting friendship. I can’t remember much of what we discussed but it soon became fairly clear that this was RAL wishing to impose its views on the relatively tiny observatories, with Daresbury keeping an eye on things from the side-lines. It was clear that our ICL mainframe was on its last legs and no longer delivering the kind of service required. We now knew and loved VAXes so we put in a bid for a VAX 11/750, slightly smaller and a great deal cheaper than our Starlink machine. Bob was pushing the view that we didn’t need our own machine and could use networks to access (his!) big machines at RAL. What we were asking for cost next to nothing in their terms, but they put up objection after objection to our proposal. One day Brian Davies casually said “Oh, by the way our new mainframe has just been delivered.” This was the first time it had been mentioned at a meeting! Talk about one law for the big and one for the small. I stuck to my guns and after countless meetings got my own way. 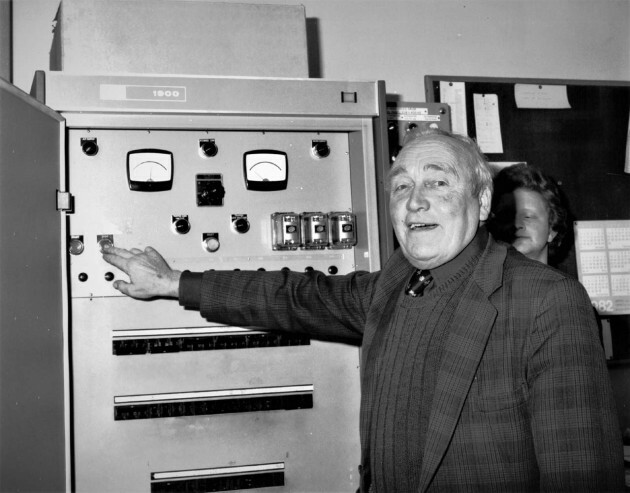 We installed our new VAX, and had a closing down party when Albert Carter came in and turned off our ICL 1903T for the last time. That was in 1983. I had known and liked Norman Walker for many years. He was quite a character, with his own idiosyncratic views of life, the universe and everything. Norman was a dedicated observer and had become very interested in looking at variability in the brightness of some types of star. The problem is that you can’t observe a star continuously for more than a few hours at a time - even if you can get the telescope time, daylight and the weather can and do intervene. Gaps in the data add their own signal to the periods you are looking for. Norman and I explored a whole series of different approaches and I packaged them up for him to use. We wrote a paper with Dave Pike on the subject (Period Finding in Gapped Data and its Application to the Pulsating Lamda-Bootis type star 29-Cygni), which was presented at a Workshop on “Space research Prospects in Stellar Activity and Variability”. I happened to discover recently that the very last Starlink Bulletin (August 2004) announced a new time-series application called FROG! It also mentioned in passing that operationally Starlink had closed down two years earlier – that would be in 2002 – and that its role as a software developer will probably end in 2005. It had lasted for 25 years. Its success was based on the range and quality of software it delivered. Towards the end of my time at RGO the issue of using telescopes remotely from the UK, rather than undergoing time-consuming and costly travel, was surfacing. Networks were starting to become viable, but there were still issues with being able to see large images in essentially real time. I started playing with image compression algorithms to see if it was possible to reduce data volumes without taking too much time to achieve it. I explored something called “square wave transforms” (something like a simple version of the Fourier Transform) which achieved amazing results. It seemed that we could reduce the volume of data by 99% and still have an adequate image. Ralph Martin and I published a paper on the subject (Remote Operation of Telescopes from the United Kingdom, Vistas in Astronomy, Vo 28, pp555-560, 1985). This was the last scientific paper I published. Another project I was starting to get involved in was Hipparcos. This was a European Space Agency “space astrometry” mission that eventually pinpointed positions of more than one hundred thousand stars with high precision, and more than one million stars with lesser precision. This is real deep down boring but ultimately absolutely essential astronomical work of the kind that RGO had been set up to do 300 years ago. The hardest thing to measure in astronomy is the distance to a star. At its most reliable it comes down to basic trigonometry – you measure the angle to a star and then do the same thing six months later. Given you know the size of the earth’s orbit you can convert angles into distances in miles. This effect is called parallax, and the natural units that emerge are called “paralactic arc seconds” always abbreviated to “parsecs”. The trouble is that for even the nearest stars the difference in angles is tiny and for most stars essentially zero! In the entire history of astronomy probably no more than 100 stars had even plausible direct distance measurements from the surface of the Earth. All the rest are derived from them, with errors creeping in at every stage. So Hipparcos was a space mission which would basically measure the apparent brightness and position of an agreed set of stars with unprecedented accuracy (space means no twinkling so star images are smaller so can be measured more accurately) over three or four years, to get distances and hence absolute brightnesses and also temperatures of unprecedented numbers of stars. The result is a version of the Hertzsprung-Russell diagram that makes professionals of my generation weep! This was related to the subject of the work I did for the Open University described previously, and at one time I had a T-shirt with a version for the 100 nearest and 100 brightest stars on it. The Hipparcos results are available on a web site. This was a unique project that had never been attempted before. Because of the complexity of the analysis and accuracy required it had been agreed to fund two independent teams to analyse the data. RGO was part of one of the teams, and l was going to be part of our contribution. The major RGO contributors were Floor van Leewen, Margaret Penston and D W Evans. It was just getting interesting when I left RGO. I was editing this text on 1 August 2014. Doing some checking I discovered that ESA’s follow on-mission, called Gaia, had been given the go ahead to start its science observing two days earlier, on 29 July. ESA says: The main goal of the Gaia mission is to make the largest, most precise three-dimensional map of our Galaxy by surveying an unprecedented one per cent of its population of 100 billion stars. That means observing a billion stars regularly over five years, making Hipparcos look like child’s play! One of the obvious factors when designing the new observatory on La Palma was that there was going to be a lot of digital data which would provide a major resource, provided that it was properly stored, catalogued, protected and made available. The idea of a proper archive originated in 1981, when it was agreed that a joint British–Dutch project would be set up. The leader then and throughout its life was Ed Zuiderwijk. I started to work with him towards the end of my time at RGO, but wasn’t really able to contribute very much. It did have one happy side effect – a trip to Strasbourg! A data analysis conference was to held in Strasbourg University one week to be followed by a workshop at the Centre de Données Astronomiques de Strasbourg, who were the leading European experts on archiving astronomical data. For some reason I had to fly out in the evening and reached Strasbourg quite late on Sunday night. I got a bus into town and then a taxi “to the university”. The driver asked in French “Which University?” and I had no idea. Eventually I made it clear that I was interested in astronomy and he thought there was an observatory at one of the two Universities in town. He dropped me off there and I trekked across a dark and deserted campus until I thankfully found the residence we were staying in. We had breakfast in the student refectory and I had my first taste of French coffee and croissant breakfast, with cups the size of soup bowls. I don’t remember much about the conference but liked Strasbourg, especially the cathedral with only one of two spires present and the old buildings and canals in the town centre. We were also taken out to a local meal in a country inn. I think it was called “Choucroute garnie”, which is a traditional dish of Alsace, where sauerkraut is garnished with sausages and other pork meats. It tasted better than it sounds, and was one of the most filling meals I have ever had. I was left on my own over the weekend, and I am no good at coping in a strange place. I eventually visited the European Parliament and walked out to view the Rhine, which there divides French Alsace from Germany. When I got to the data conference somebody recognized me and said: “What a pity I didn’t know you were staying over. I have been touring the Alsatian vineyards this weekend and you could have come with me.” One of those real “if only” moments in my life. My final trip on behalf of RGO was to Hanover. One of the key elements needed for most scientific computing is to be able to solve a set of numerical problems. There is not much point in everybody solving them for themselves and so in the UK the expert community established the Numerical Algorithms Group (NAG) in Oxford to collect, test and distribute authoritative solutions to these problems. They were very successful at that and for some reason decided to hold their User Group meeting in Hanover. It may have ben to announce a new release or part of a push to move into the European market. In any case it was decided I ought to attend and so I did. The conference was not particularly exciting but I loved the city. I spent a free half day following a tourist trail round the old part of the city, including the house where Leibnitz lived – the cake shops were as interesting as the buildings - and also went to take a look at the Herrenhausen Gardens. The gardens are a heritage of the Kings of Hanover, so I guess are related to our own royal family. The Great Garden has always been one of the most distinguished baroque formal gardens of Europe. We were also invited to a reception, which turned out to be a German tea-party! My strongest memory is of some sponge cakes with holes in the centre. A bit of research suggests they were probably Gugelhup (“A Gugelhupf or Gugelhopf is a southern German, Austrian, Swiss and Alsatian term for a marble cake or Bundt cake. In the rest of Germany it is called "Bundkuchen" or "Napfkuchen"). It has a distinctive ring shape or the shape of a “torus”. It looked to me as though it had been made in a fluted jelly mould. It was delicious and almost infinite in its variety. During much of my time at RGO it seemed as though ground-based optical astronomy was going to fade away completely, at least in the UK, with all the new exciting developments being done in space. To some extent the move I saw from photographic plates to charge coupled devices – as now found in digital cameras and phones – was one thing that helped reverse the trend. A large part of my Starlink software was developed to process the poor quality digital images that were starting to be collected. The quality and number of pixels continued to grow “astronomically” – just look at how many pixels are now available in even cheap digital cameras. Another trend that was just starting was the use of optical fibres to move light around flexibly. Throughout history spectroscopy had been time consuming because you could only observe one object at a time. Fibre optics made it possible to collect light from lots of objects in the telescope’s field of view and line them all up on the input to the spectrograph, increasing the observing efficiency more than a 100-fold. However, it was after I left that the really big changes occurred. Curiously the “flux collector” that we used in Tenerife, with its thin mirror, was one of the first steps down this road. It became possible to build a huge mirror out of a collection of separate segments, and use computers to align them so the light could be combined. It also became possible to move from thick, rigid mirrors that were incredibly heavy to thin, lightweight ones and use computers to distort them to compensate for the second by second twinkling of the atmosphere. The result was that telescopes could be built on high mountains that were much, much bigger than anything that could be put in space and which gave images almost as sharp as could be achieved from space. However, space remains essential to observe those wavelengths that do not penetrate the Earth’s atmosphere. And the multi-waveband approach which is now routine is perhaps the biggest change in the subject since I started to become interested in astronomy. Finally, the other change that has been very obvious to me is that space probes have converted the planets and their moons from fuzzy blobs of light to real places where the equivalent of geology and geography can be studied. By the time I finally retired one of the most exciting research areas was the search for planets – especially Earth-like ones that might support life like us – orbiting other stars. I eventually moved from RGO to RAL to join the Informatics Department under F R A H “Bob” Hopgood.. Although I finally spent 26 years at RAL and only 17 at RGO it is RGO that still feels more like “home”! My Department at RAL – which was one of the smaller ones – was about the same size as RGO. RGO was a much cosier, friendlier place than RAL, with a coherent view of its aims, whereas RAL often seemed more like a set of warring Barons than one community.